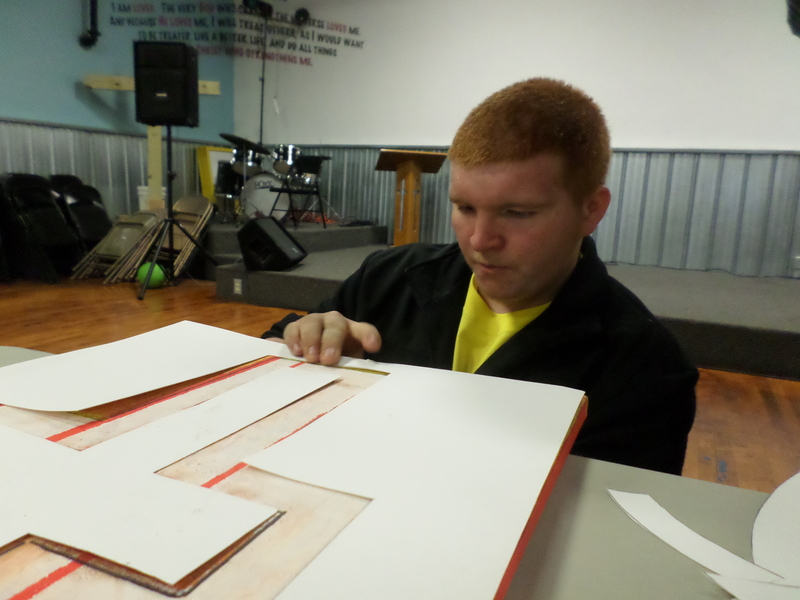 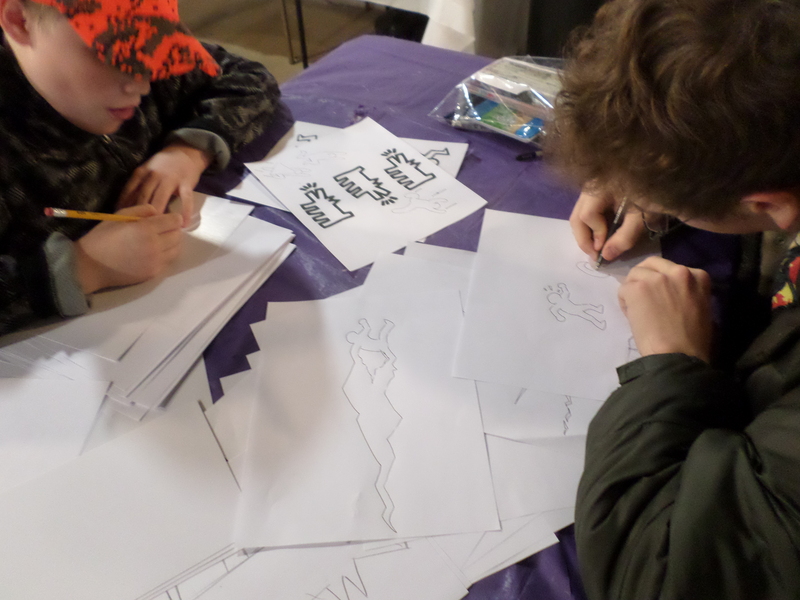 Students at the Willard Hope Center were exploring adding lettering to their images recently. 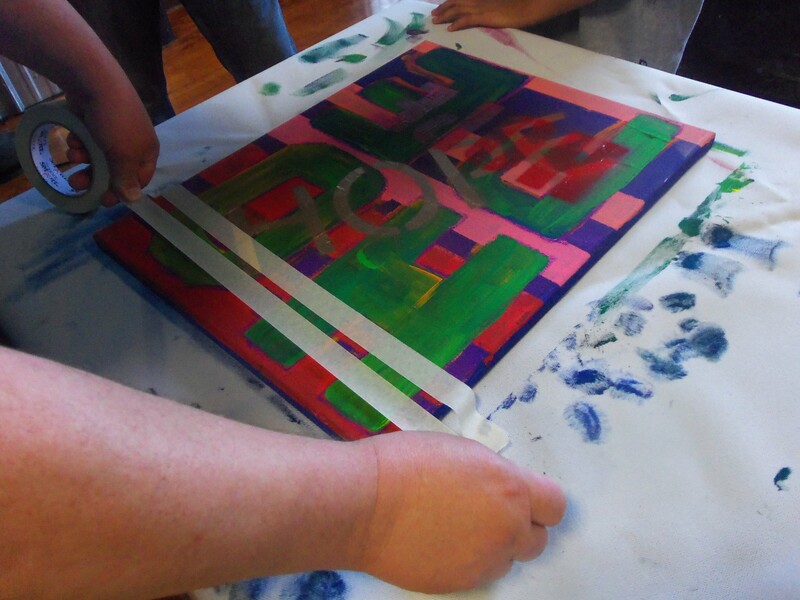 Students used stencils to transfer the letters to their canvases. 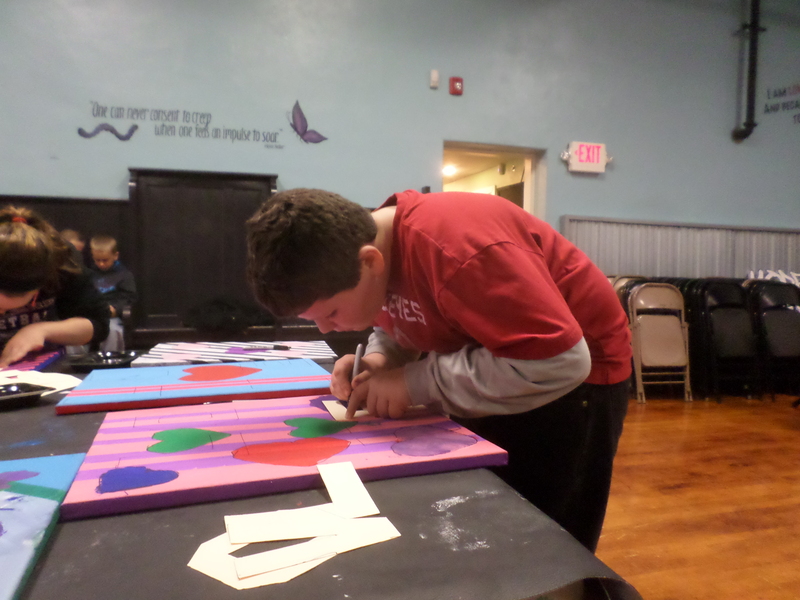 Focus and concentration were a large part of our painting session at the Hope Center. 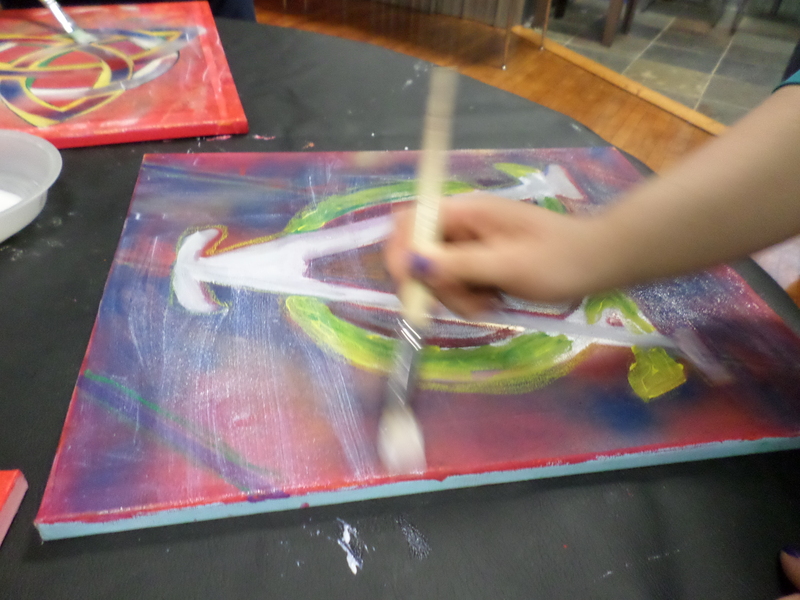 The students’ work is slowly taking shape as they add more layers to their images based on the idea of love. 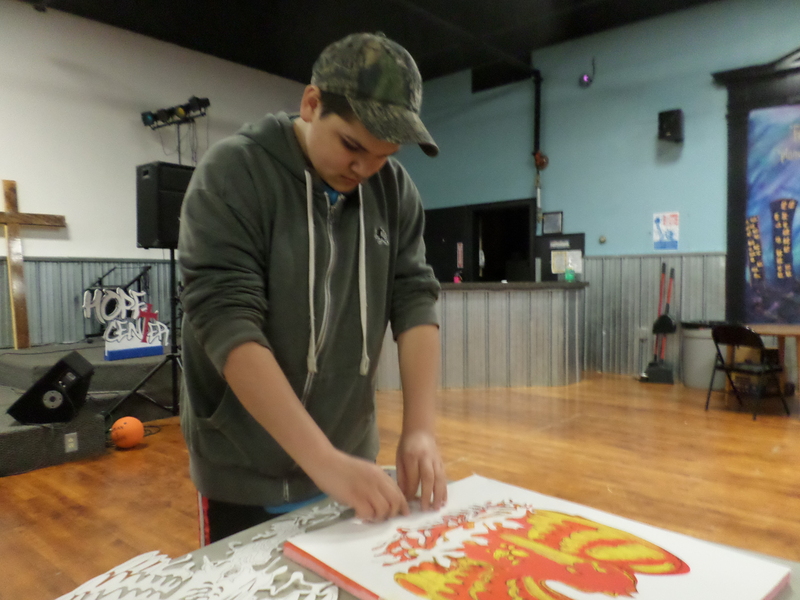 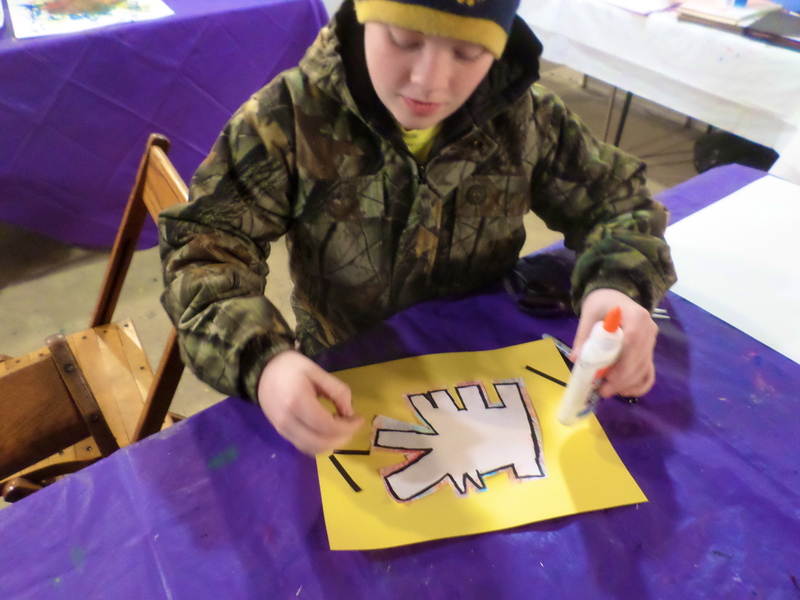 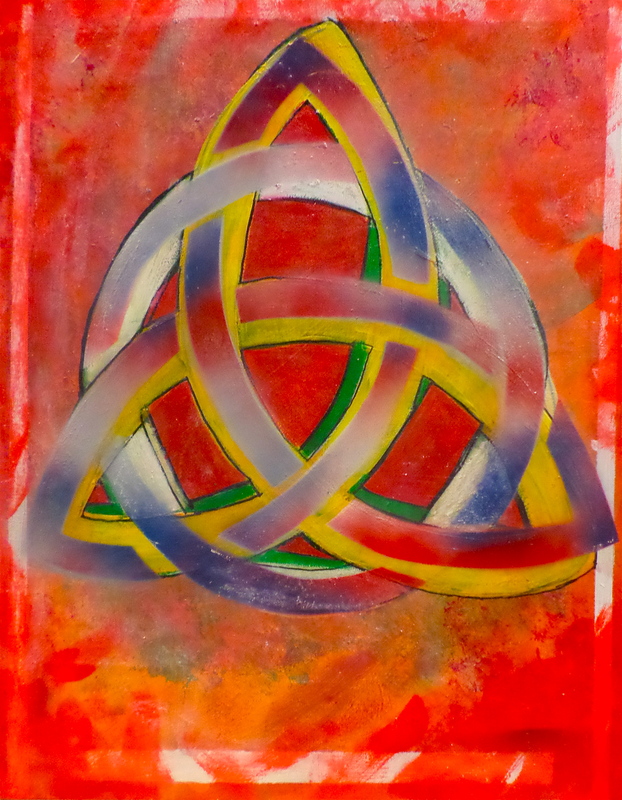 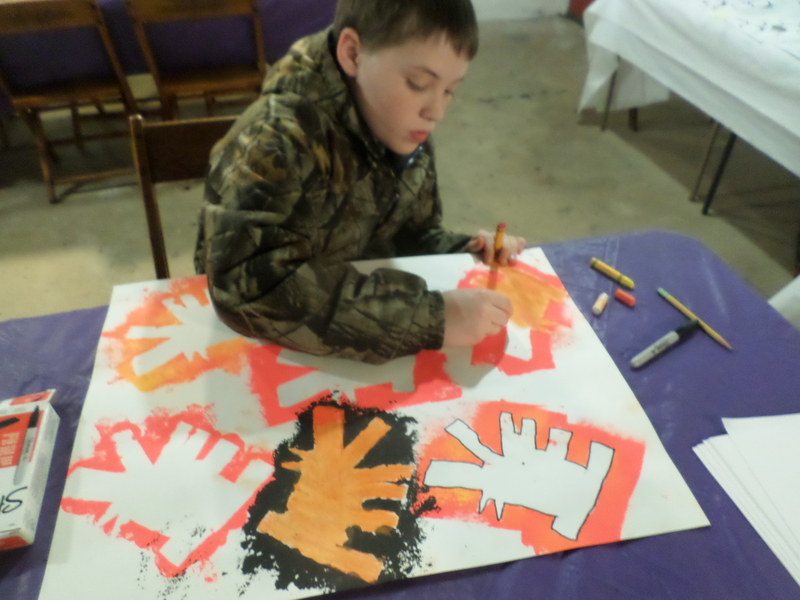 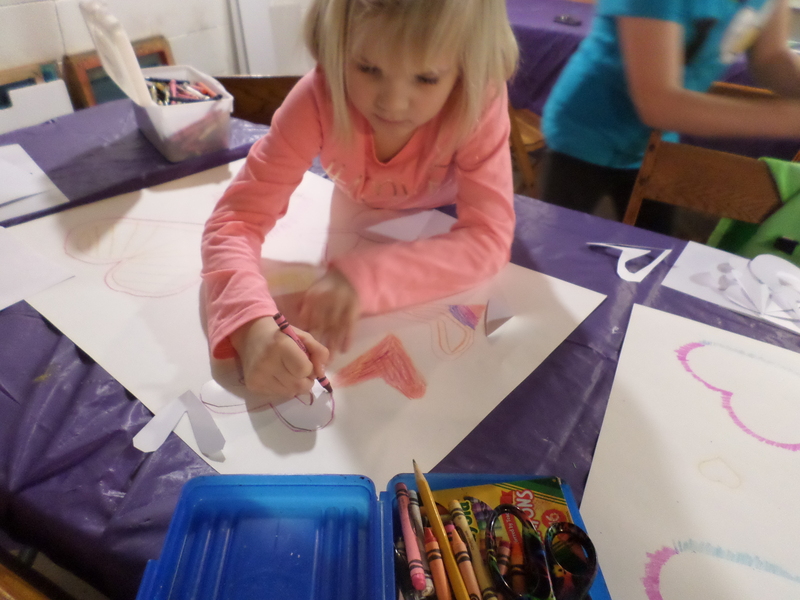 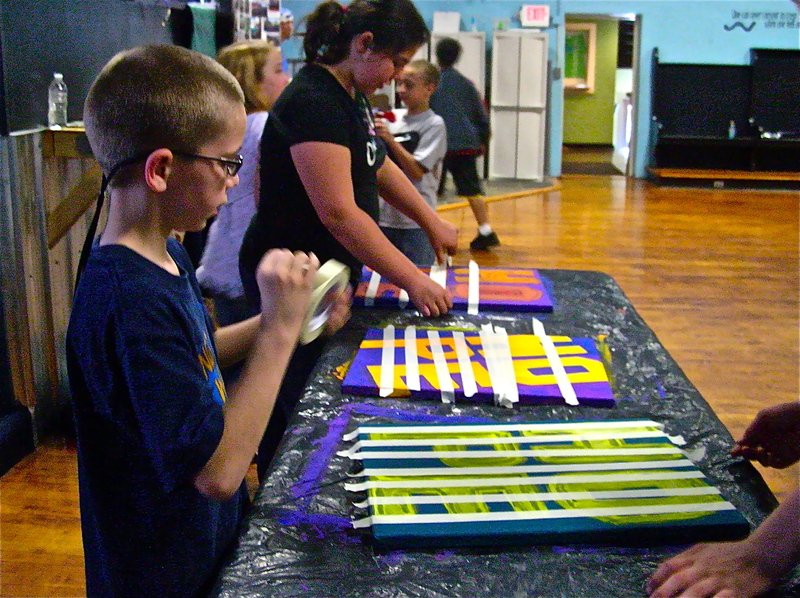 Students at the Willard Hope Center were busily completing their symbol paintings the month of April. 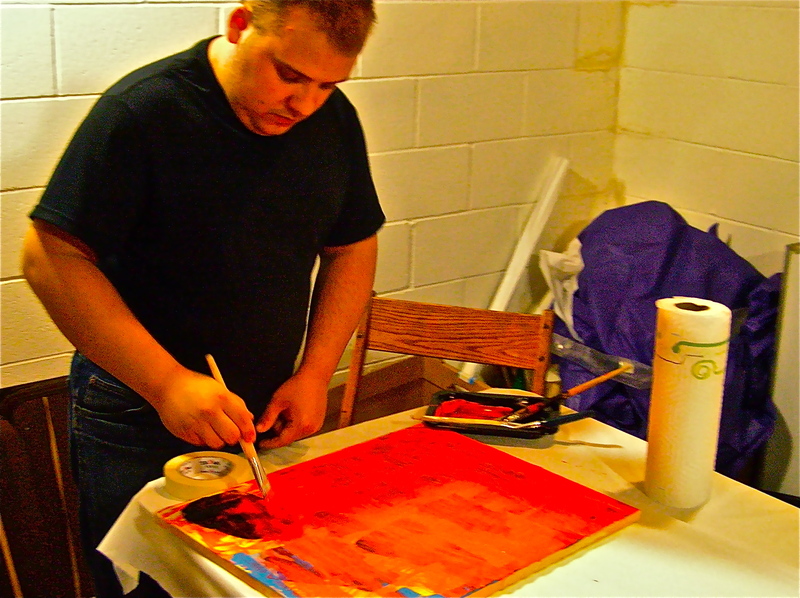 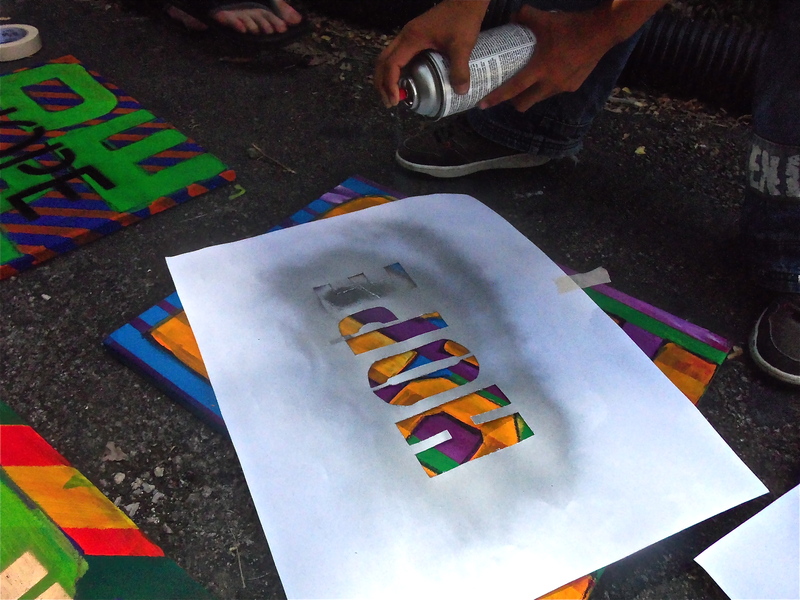 Our last three sessions consisted of stencil painting, adding one last layer of color and a final coat of gloss. 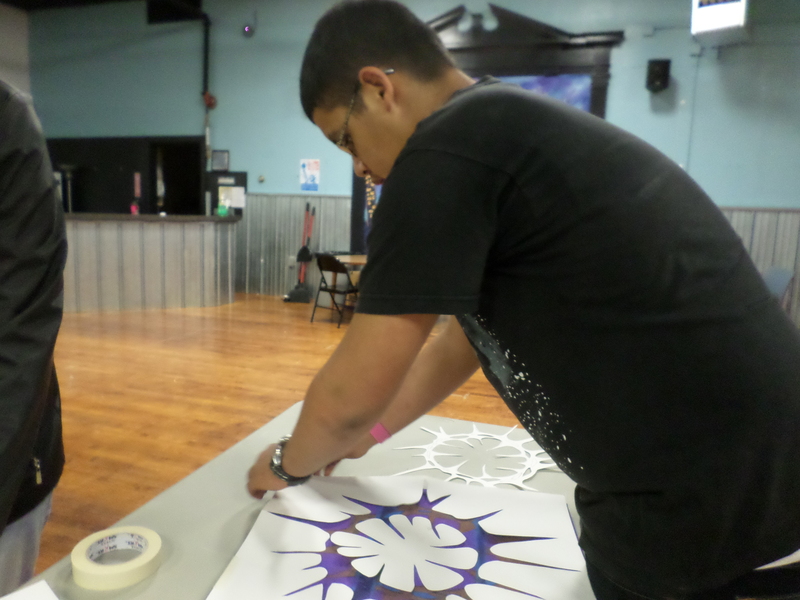 Students placed their stencils on the paintings and taped them down. 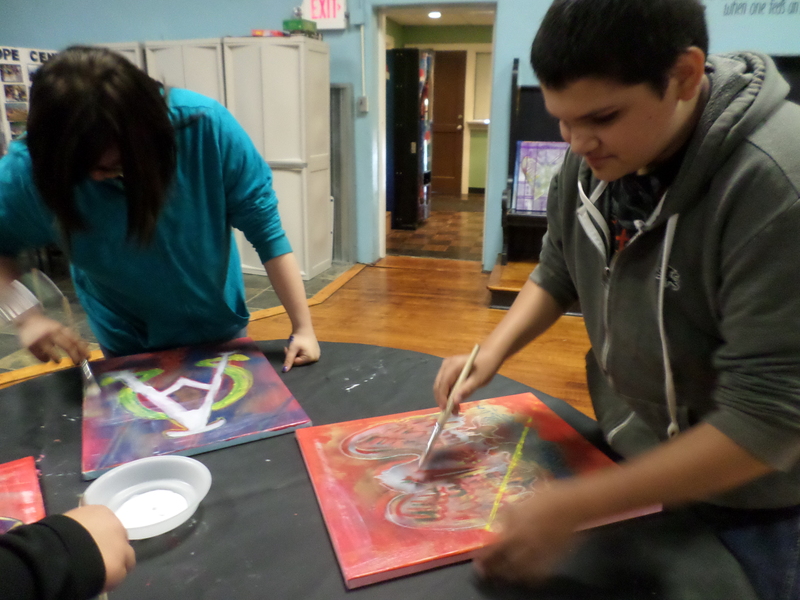 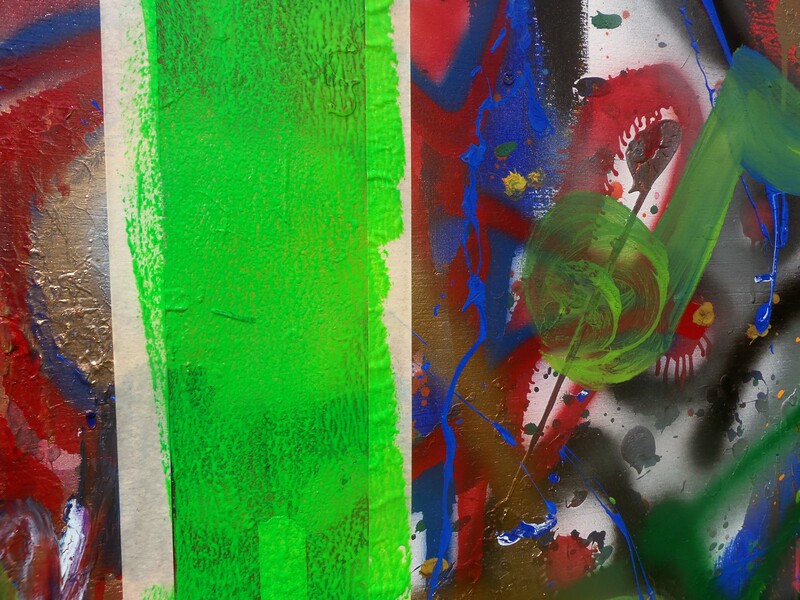 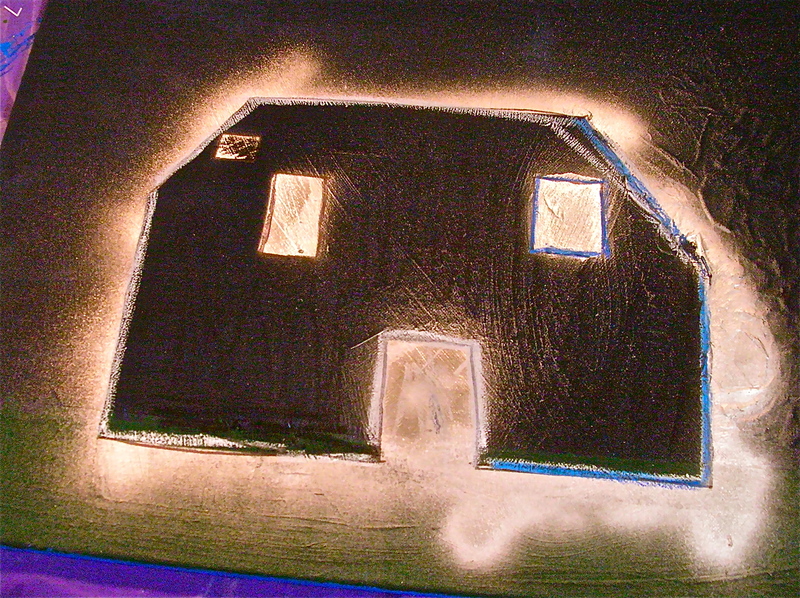 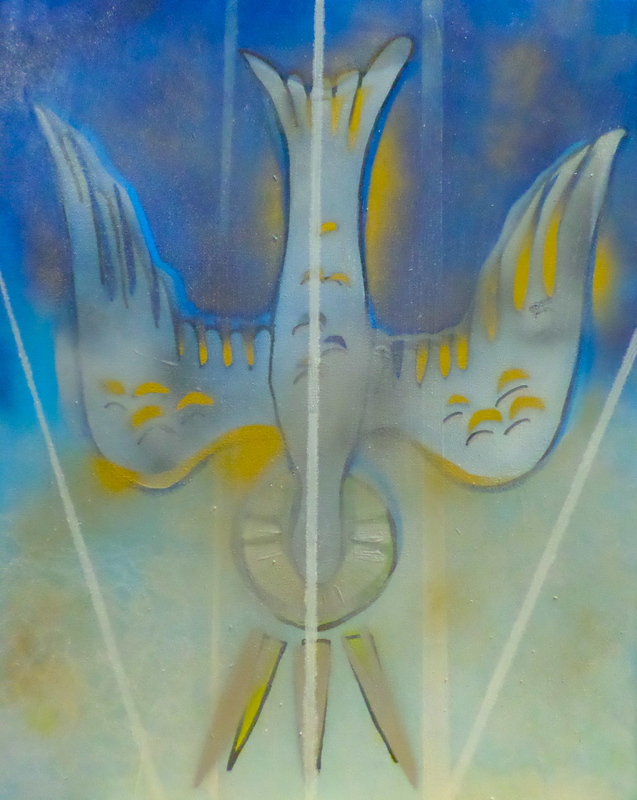 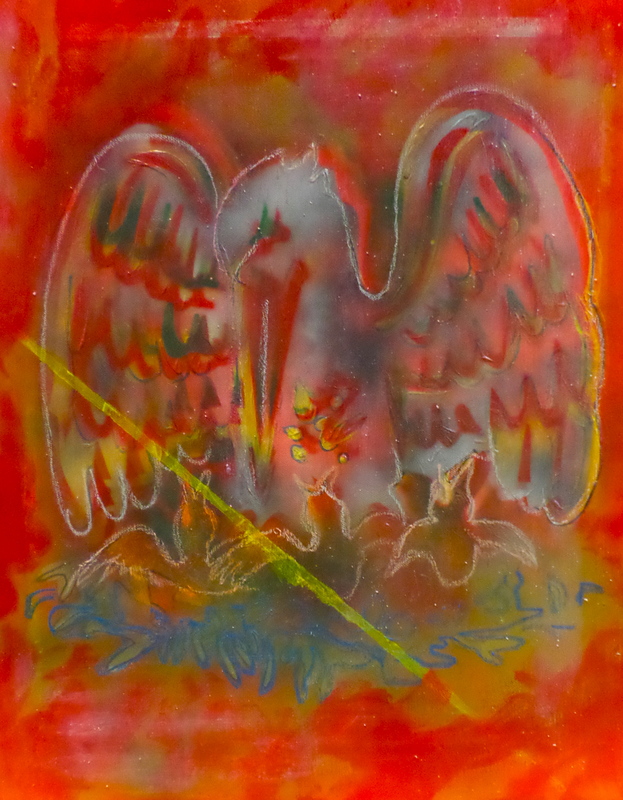 After some brief instruction students set about spray painting the images on their canvases. 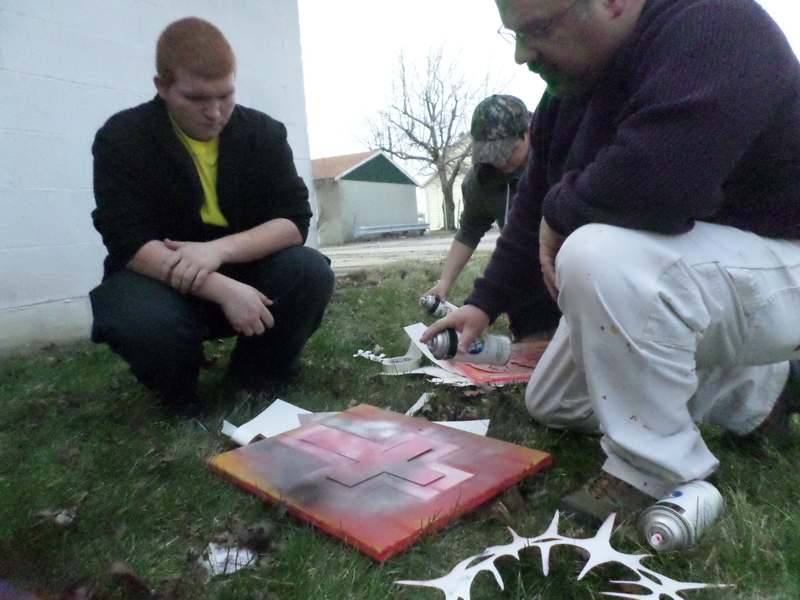 We were blessed with a very windy day that challenged our painting session. 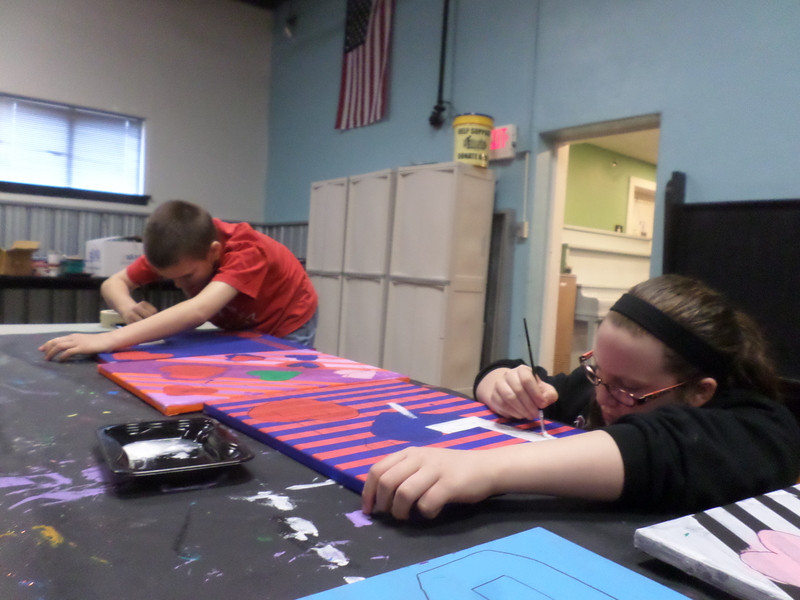 Everyone was excited about their results from the painting session. 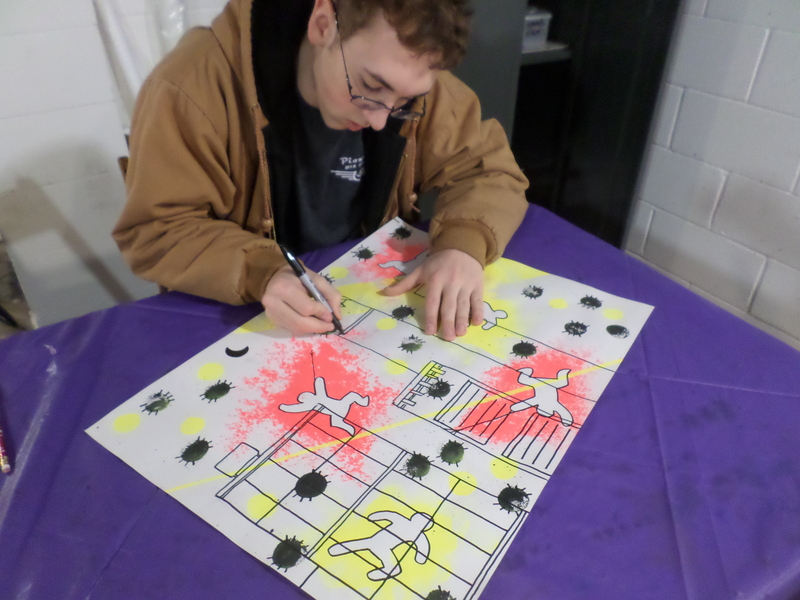 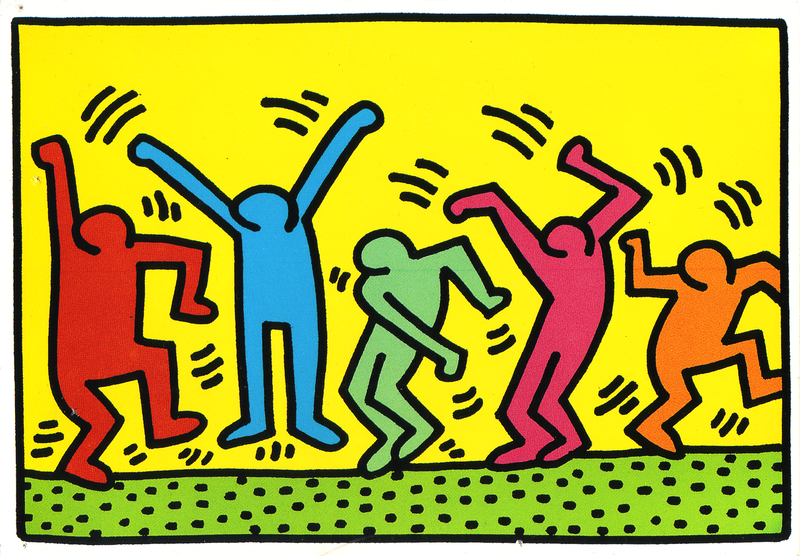 The second session in April students added more color to their images after the outdoor spray painting session. 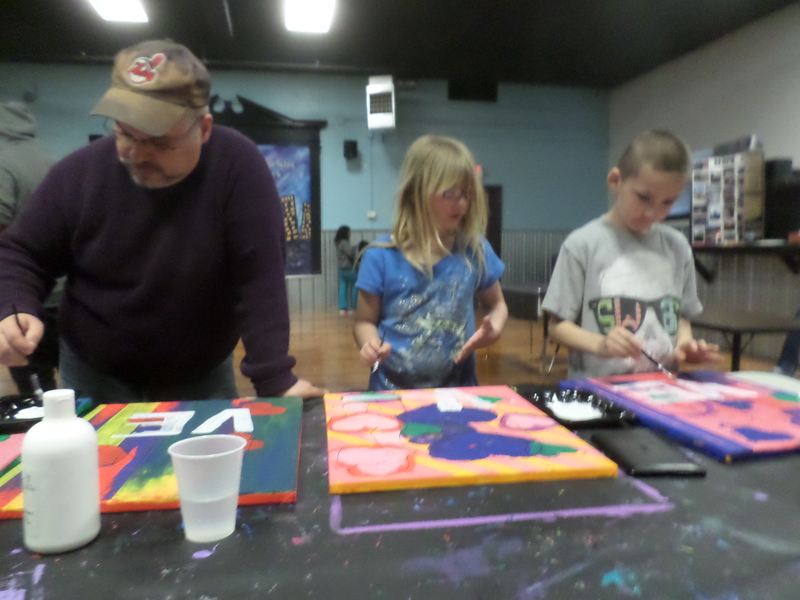 Everyone had their own thoughts on how to complete their images. 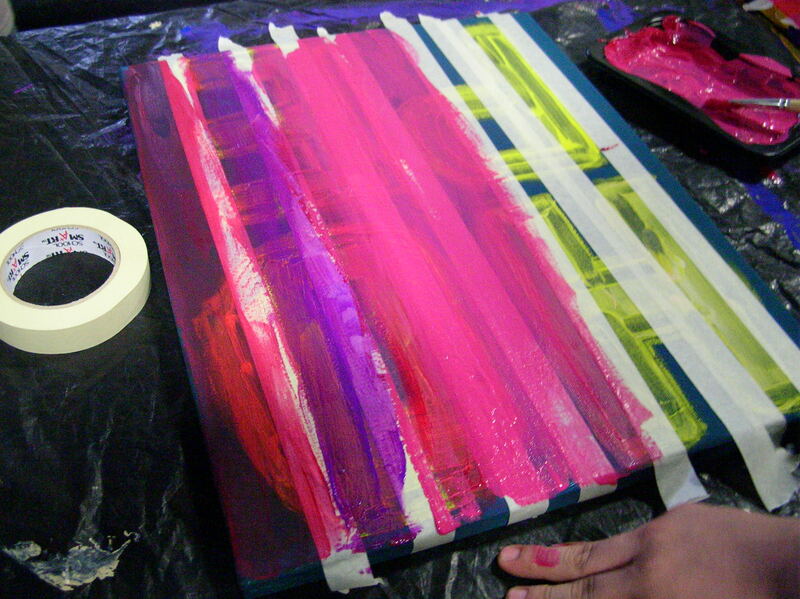 The final session was to add gloss to their paintings. 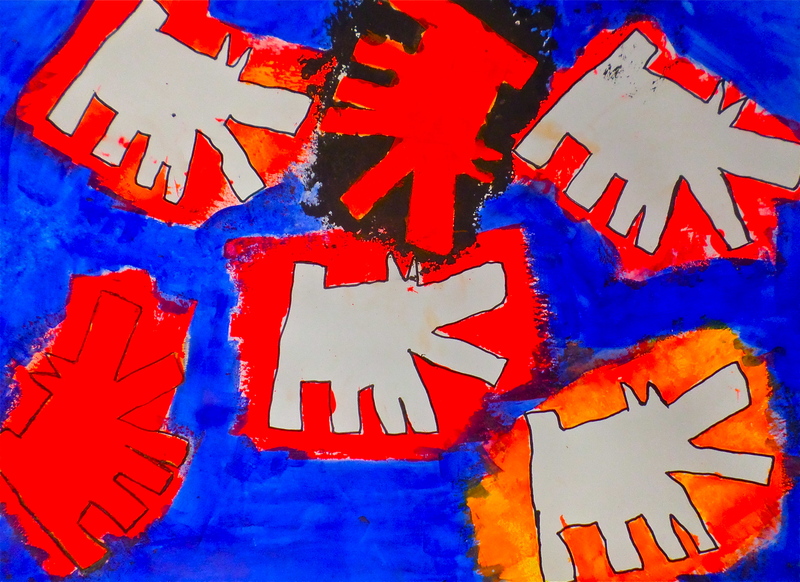 Everyone worked hard to complete these wonderful symbol paintings. 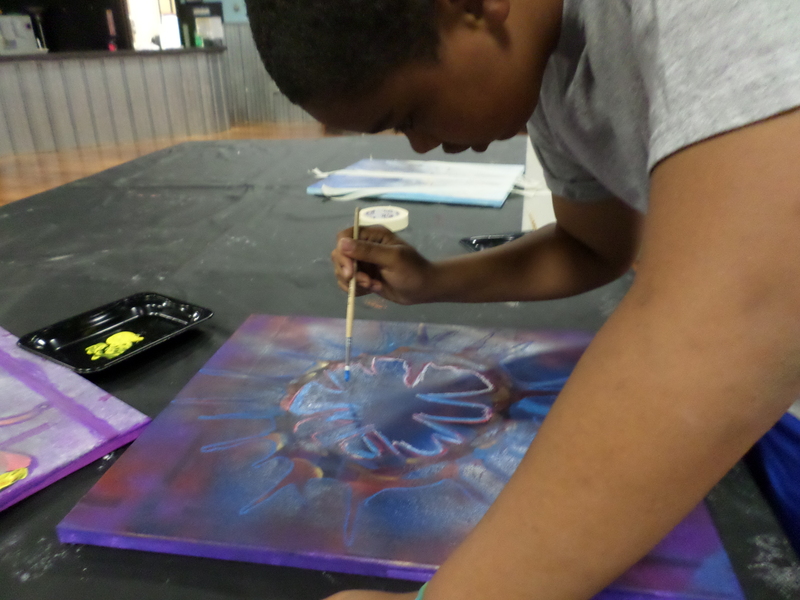 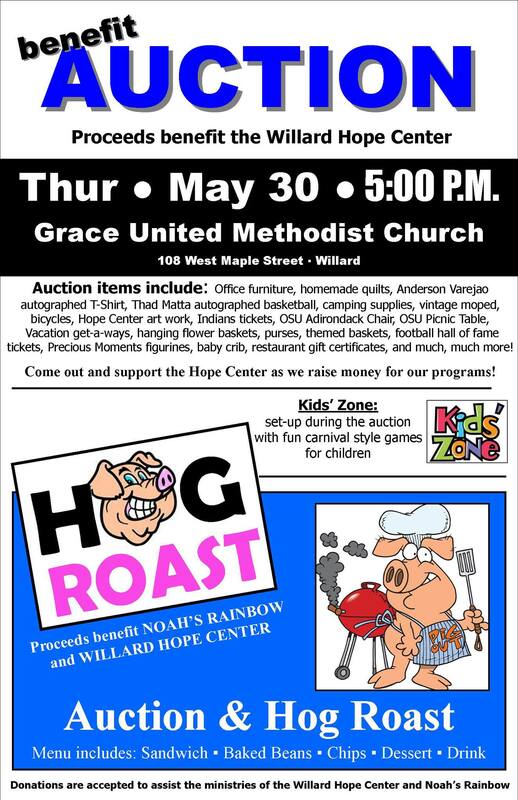 Here are examples of the students’ paintings that were sold at the auction in May. 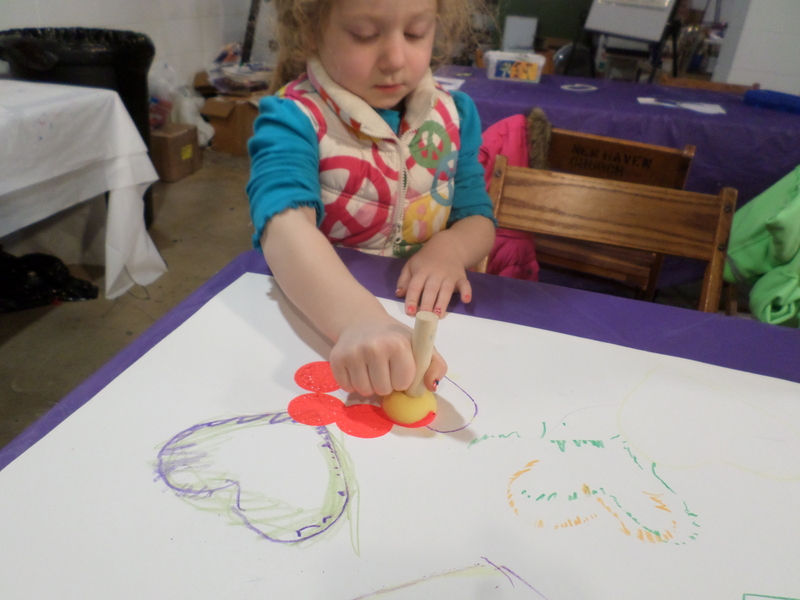 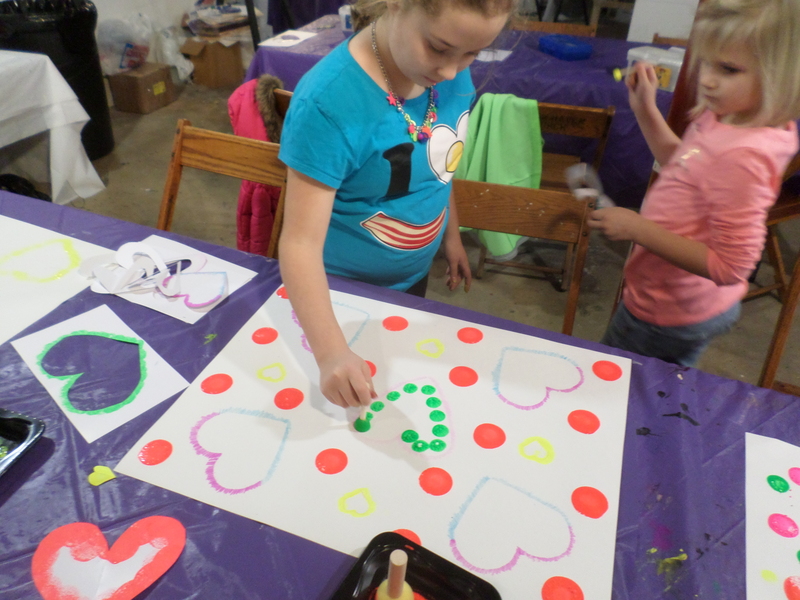 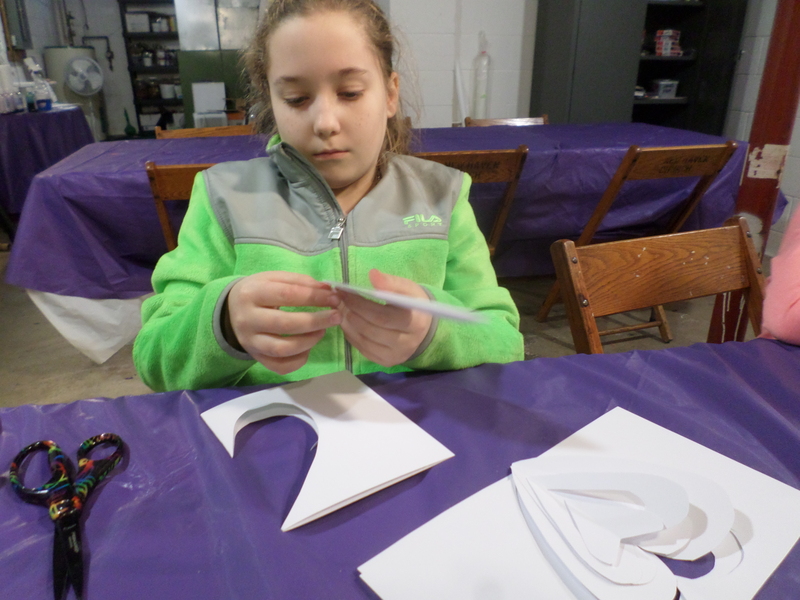 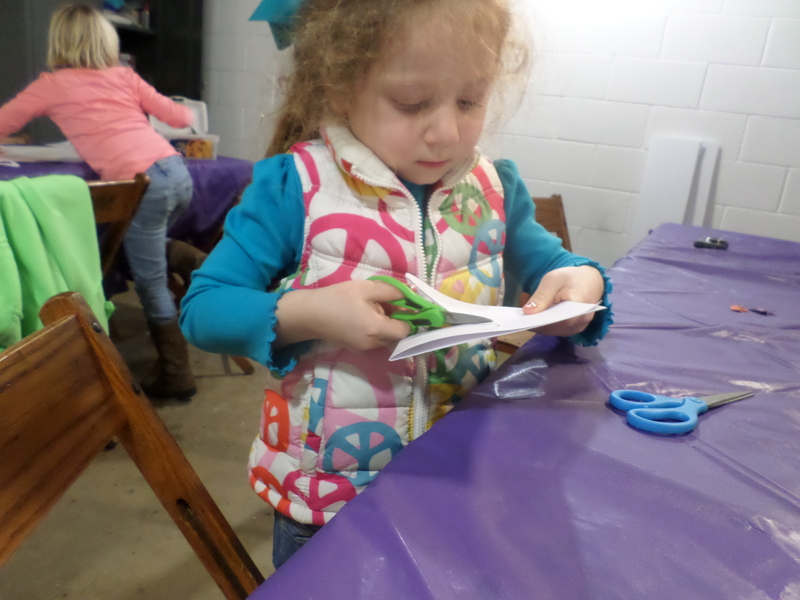 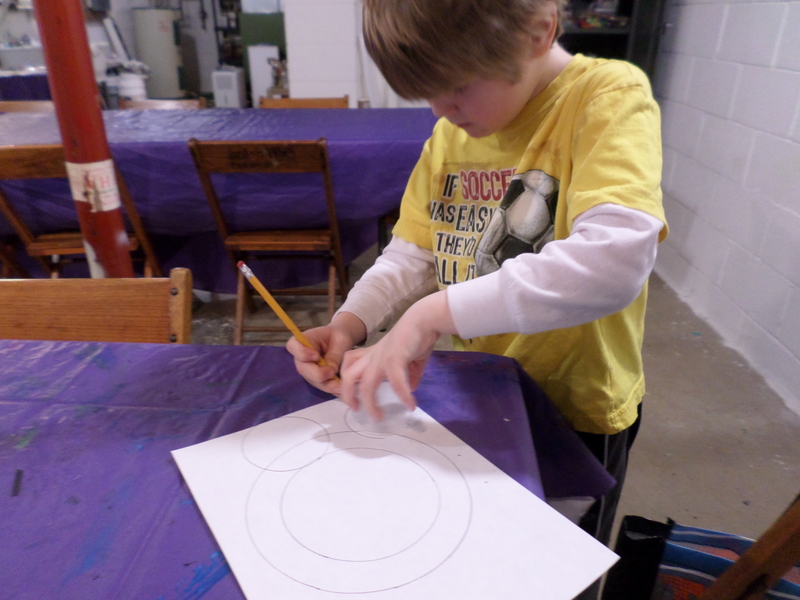 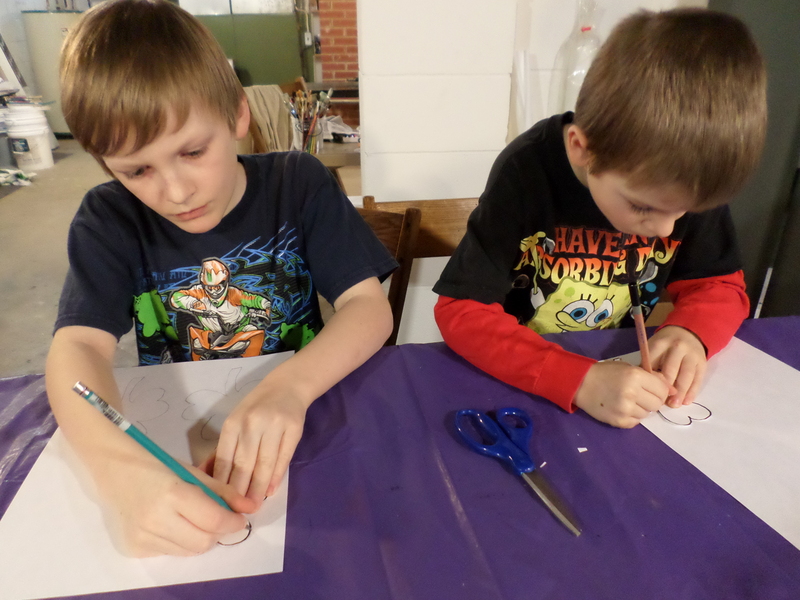 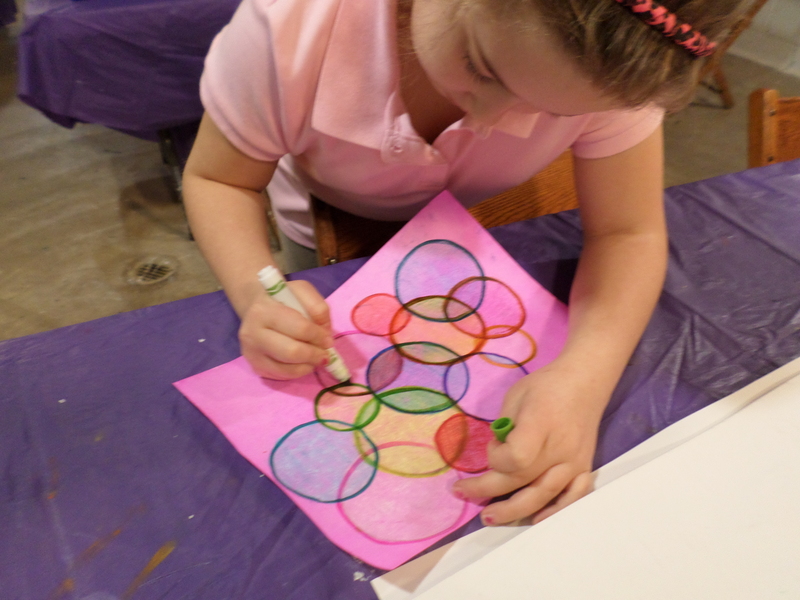 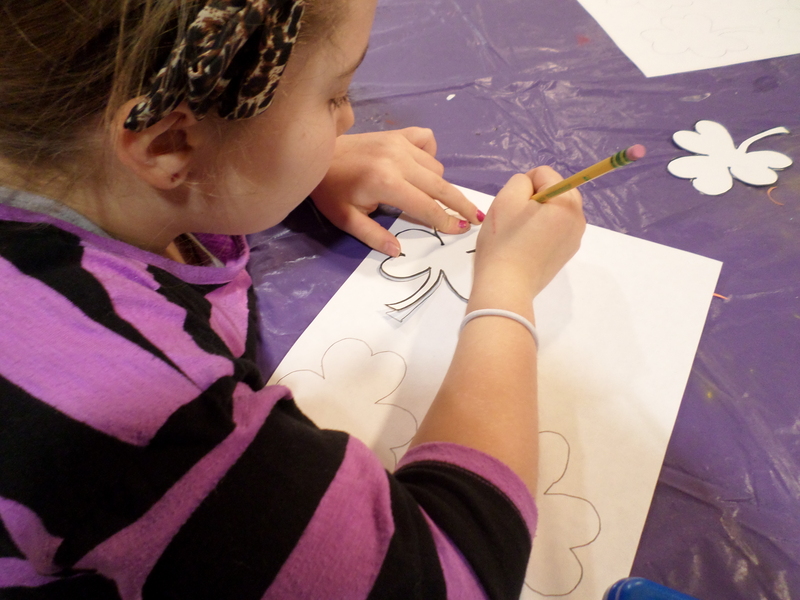 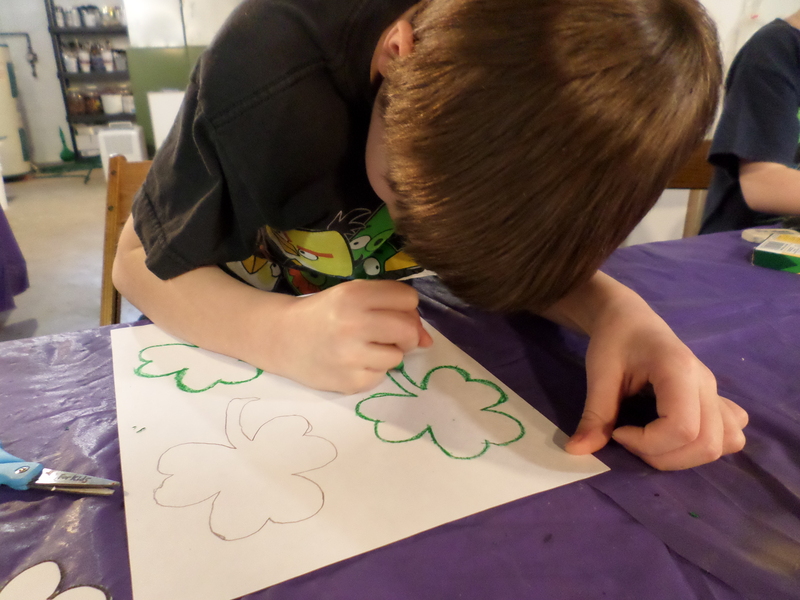 Students in the Wednesday afternoon art class recently explored the shamrock shape as a design project. 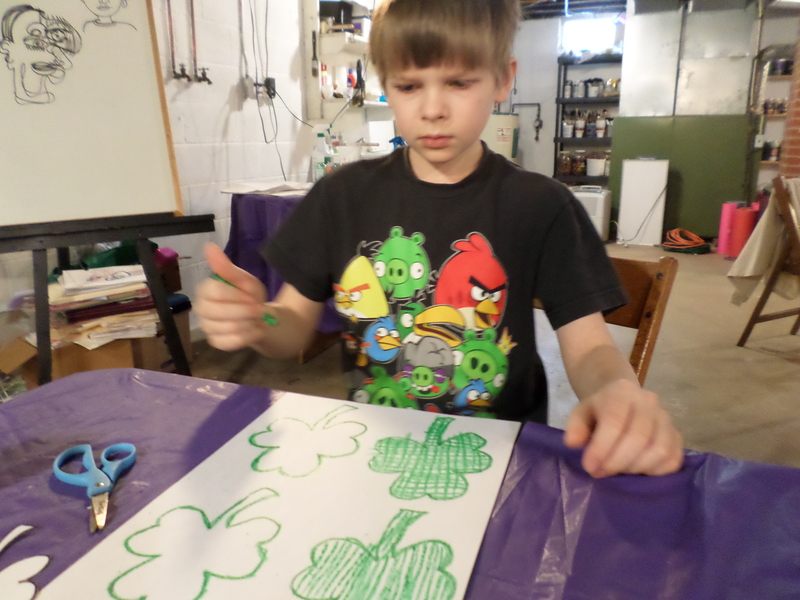 After cutting out their shamrock template, students traced the shape in a repeated pattern. 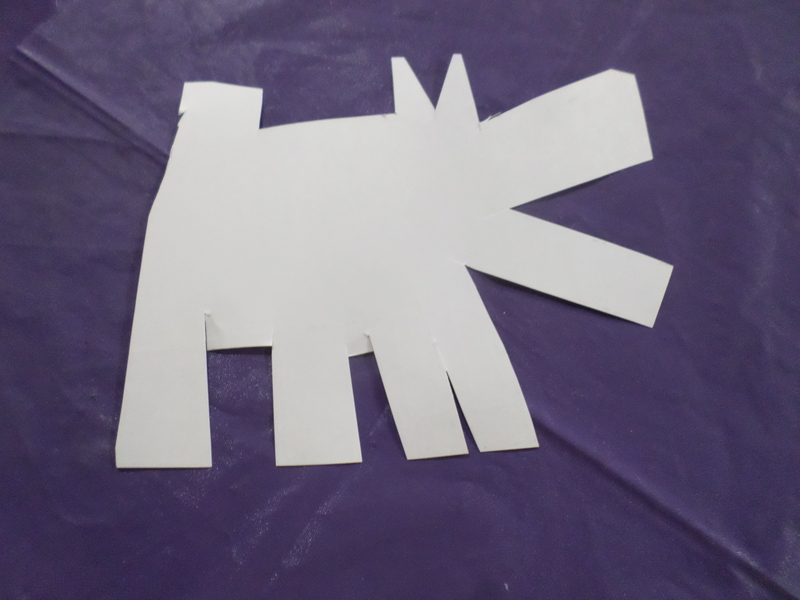 This required much focus and concentration from the students. 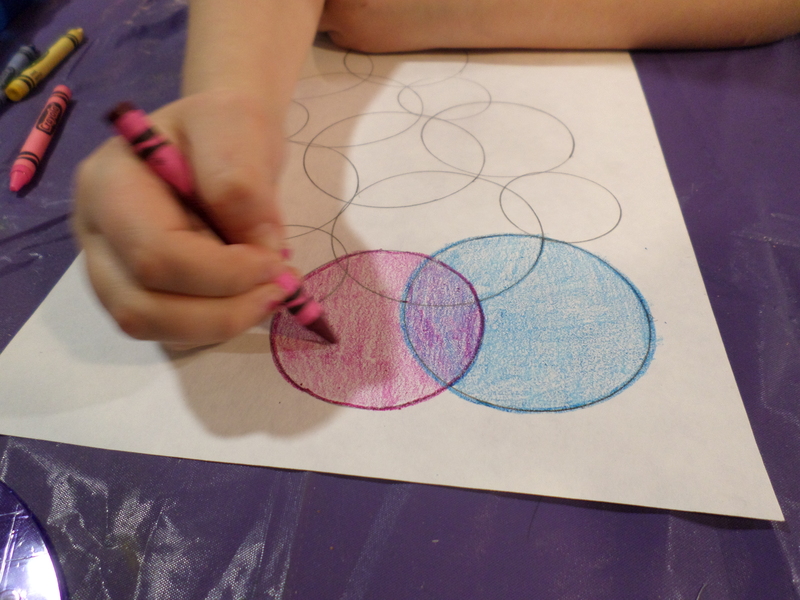 Students outlined their shapes with crayon. 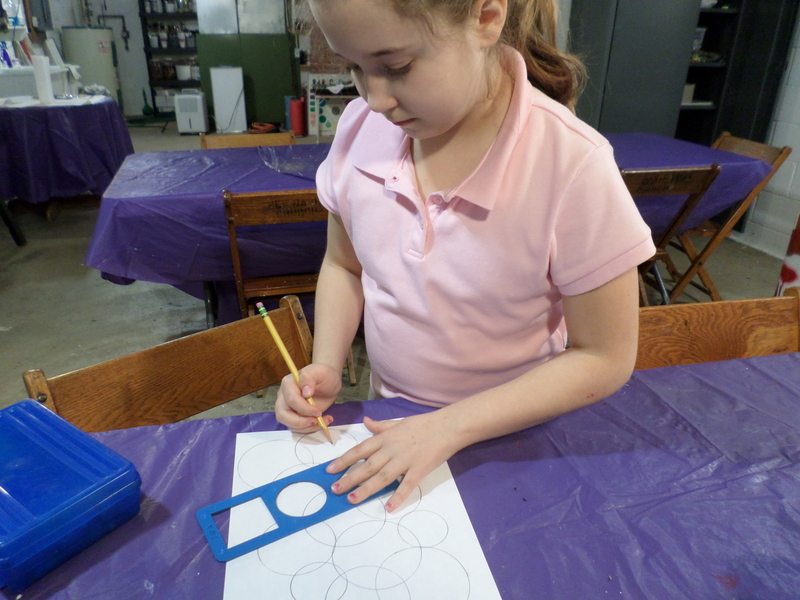 The next step was to add texture to their shapes with a repeated pattern. 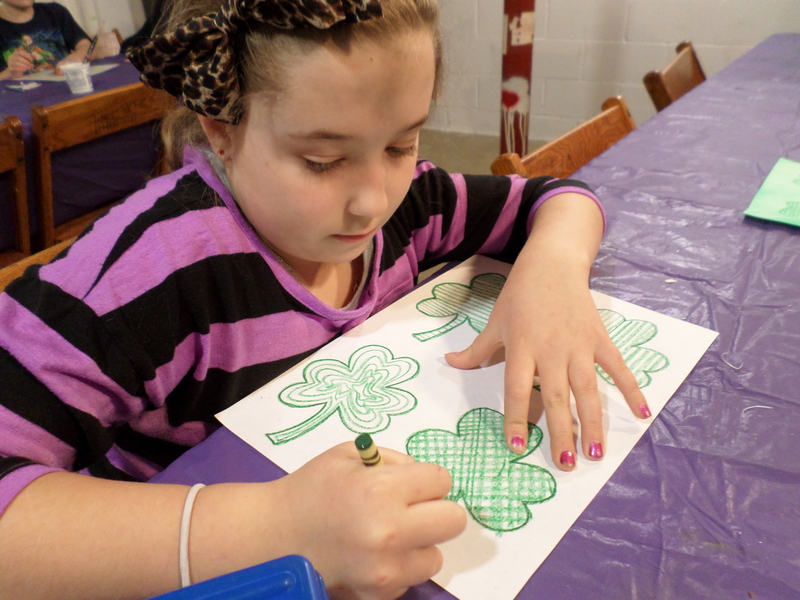 Everyone explored different types of textures on their shamrock shapes. 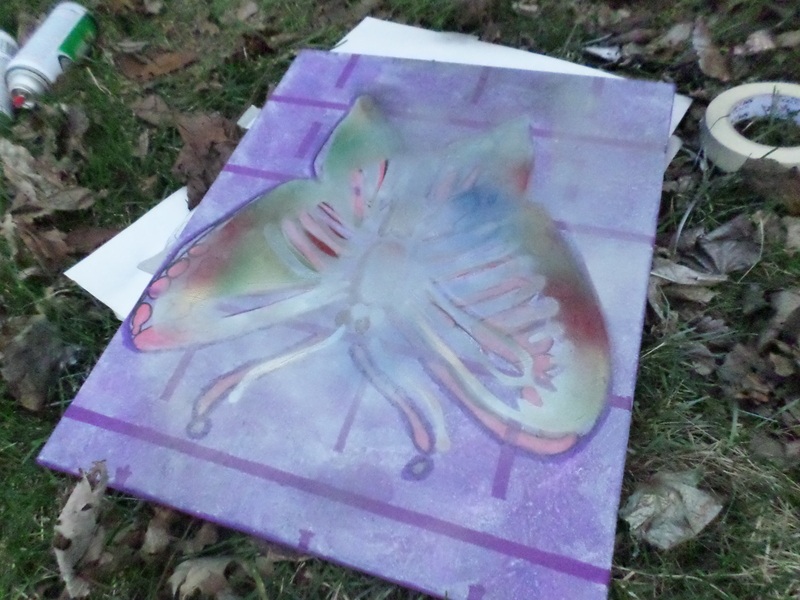 The next step was to add a wash of green watercolor paint over their design. 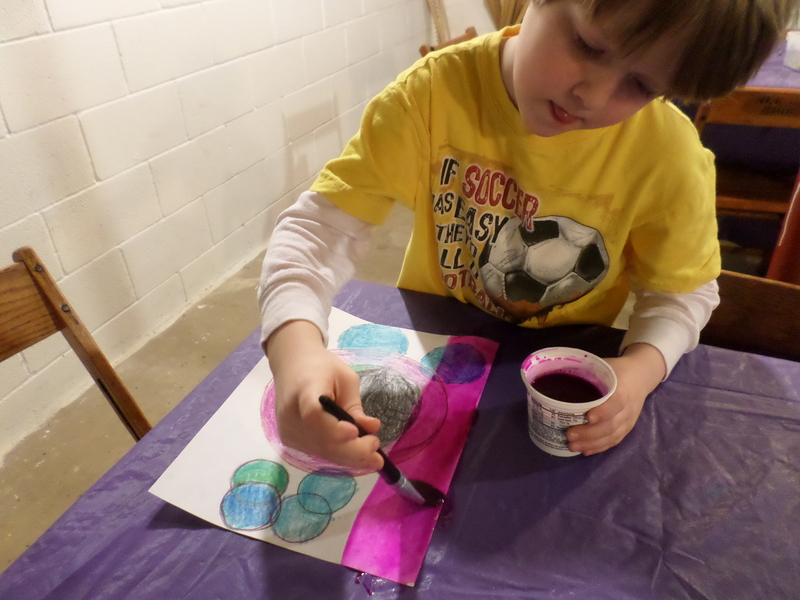 Finally students added a second wash of black watercolor paint to their images. 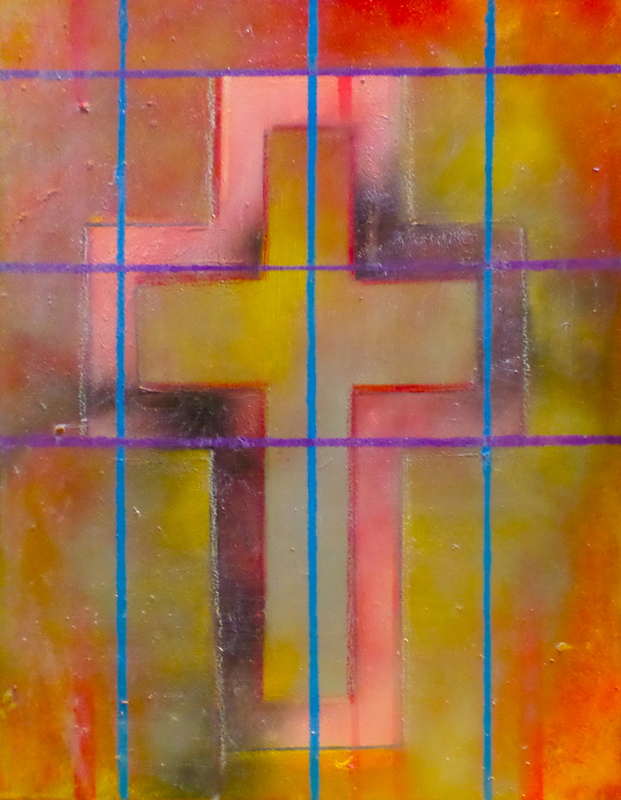 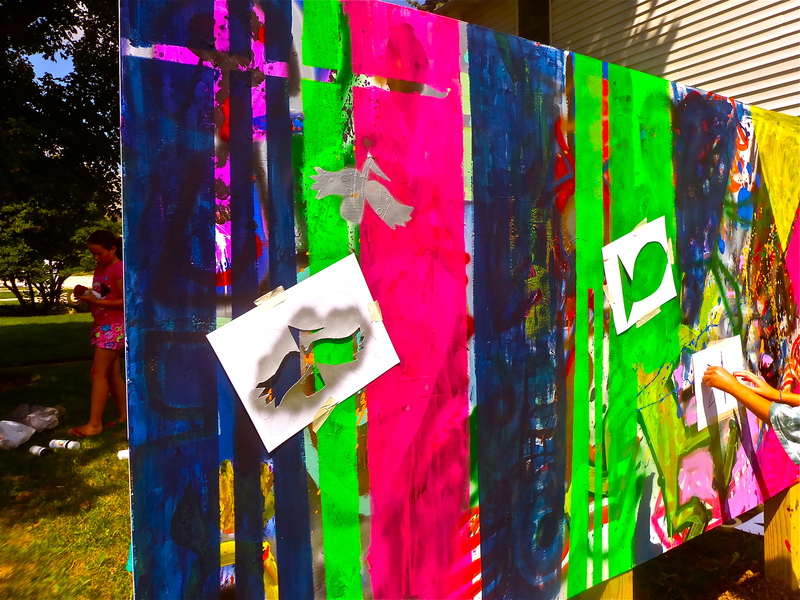 Everyone enjoyed the process of working with mixed media on this project. 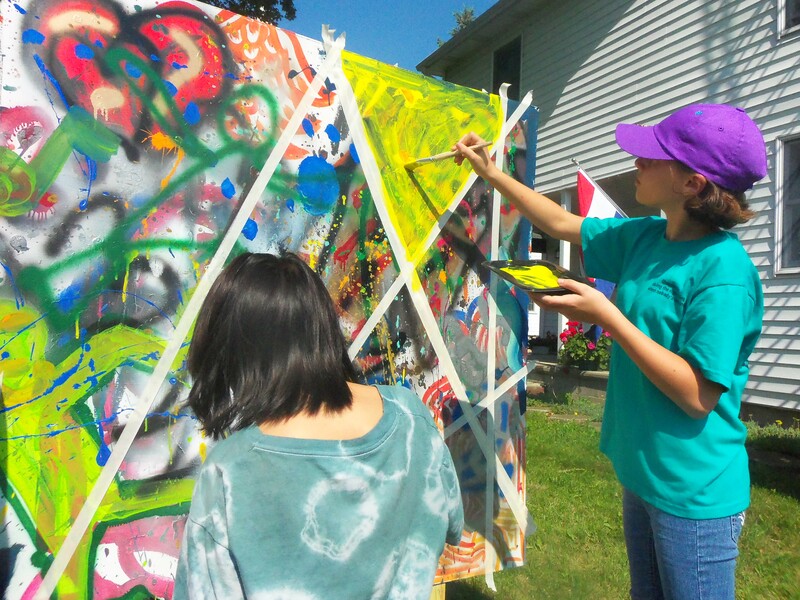 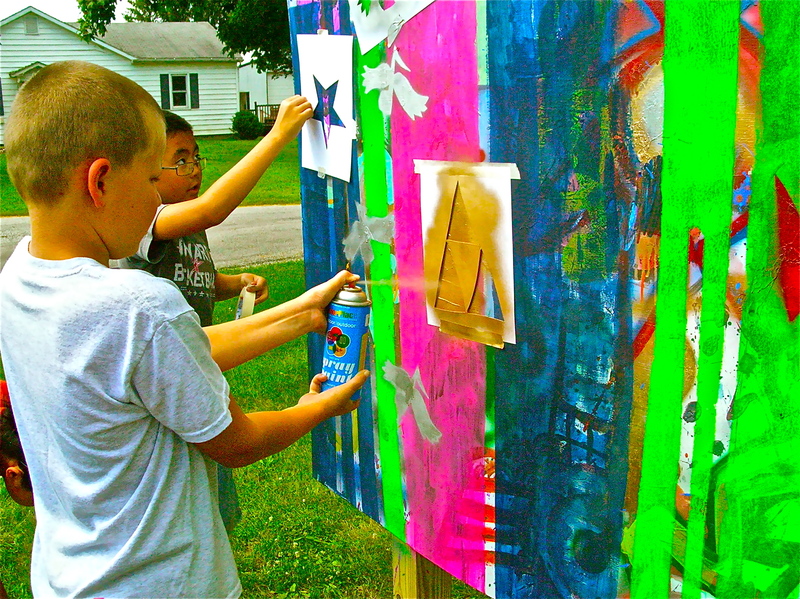 On day 2 of Art Camp students reviewed their outdoors paintings and used masking tape to cover elements they wanted to save before adding more paint to the images. 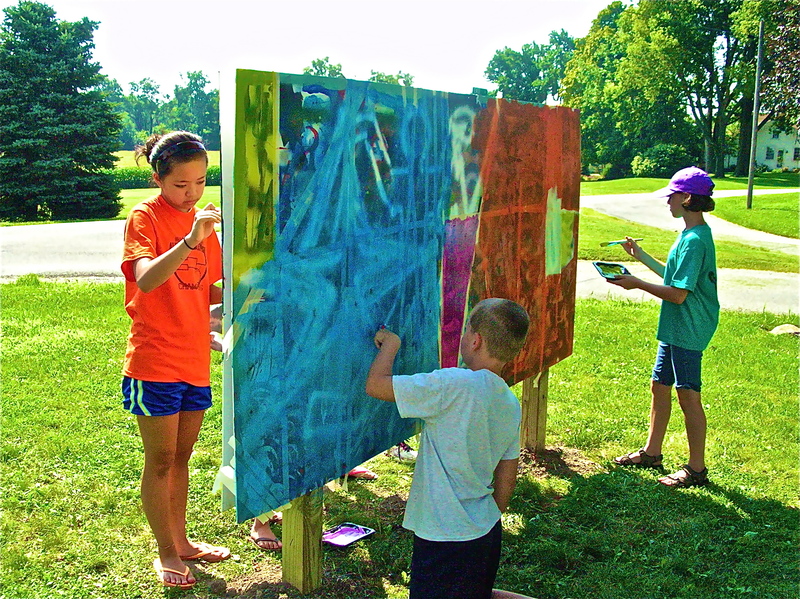 This process was a new experience for the campers. 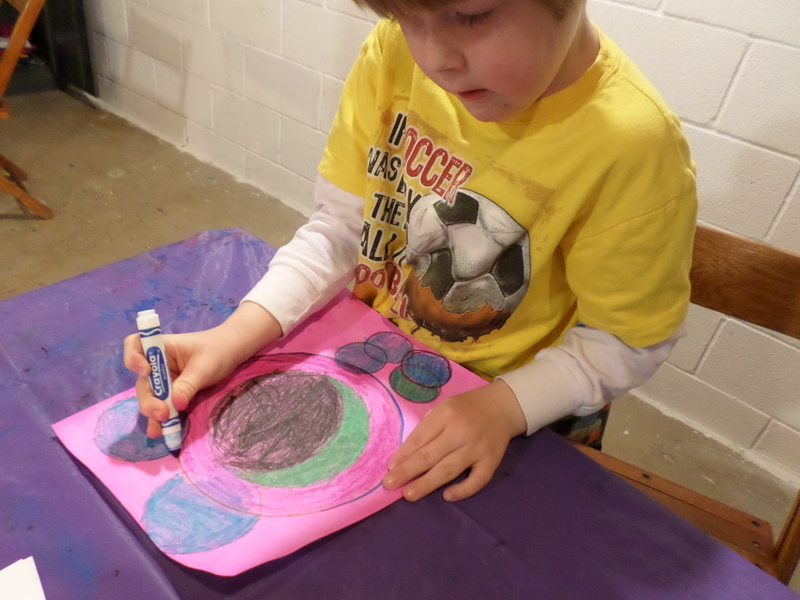 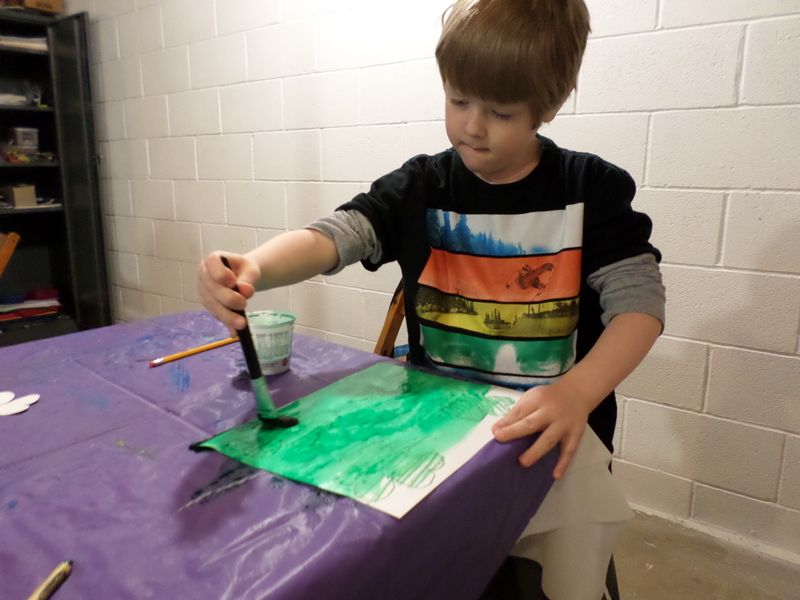 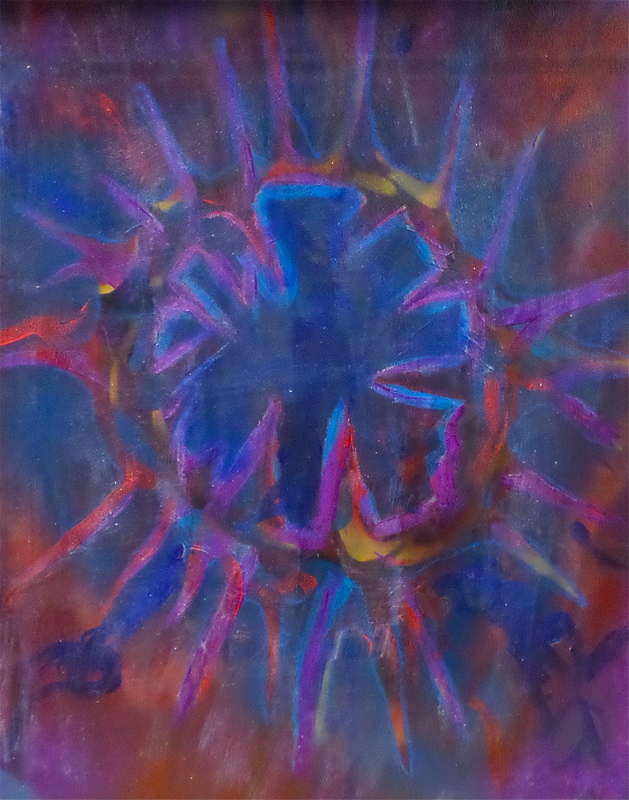 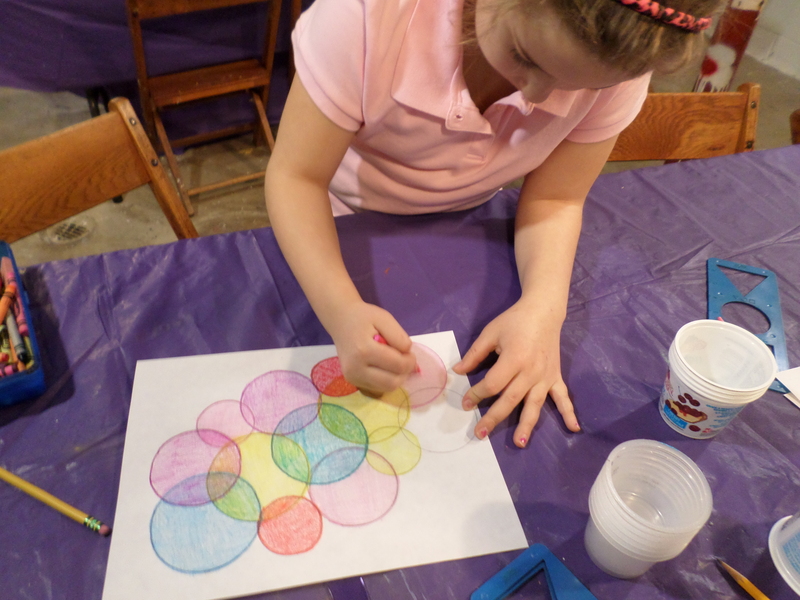 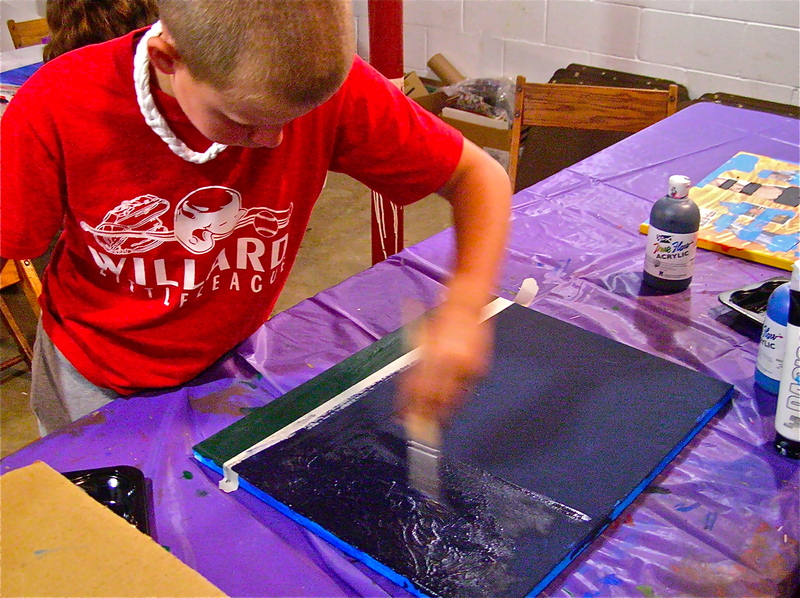 Campers explored adding thin layers of solid color to allow the previous layers to peek through. 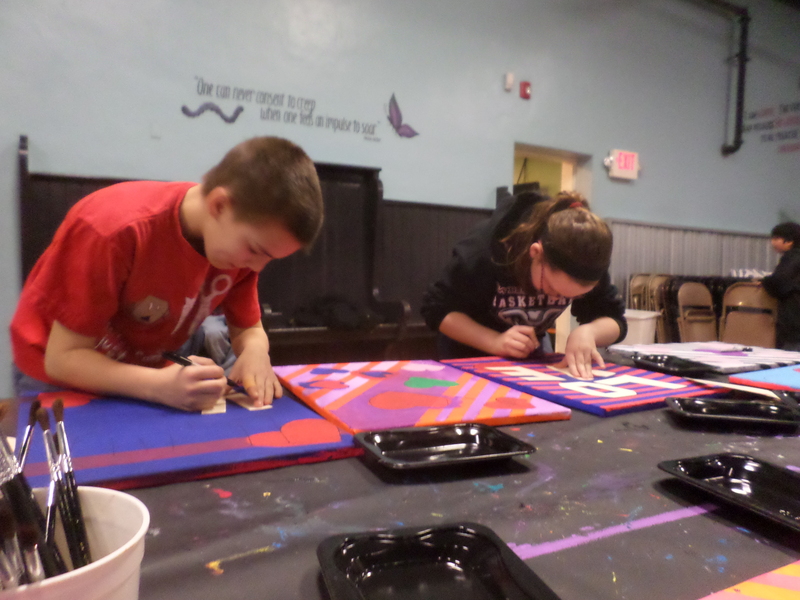 A close-up of their work in progress. 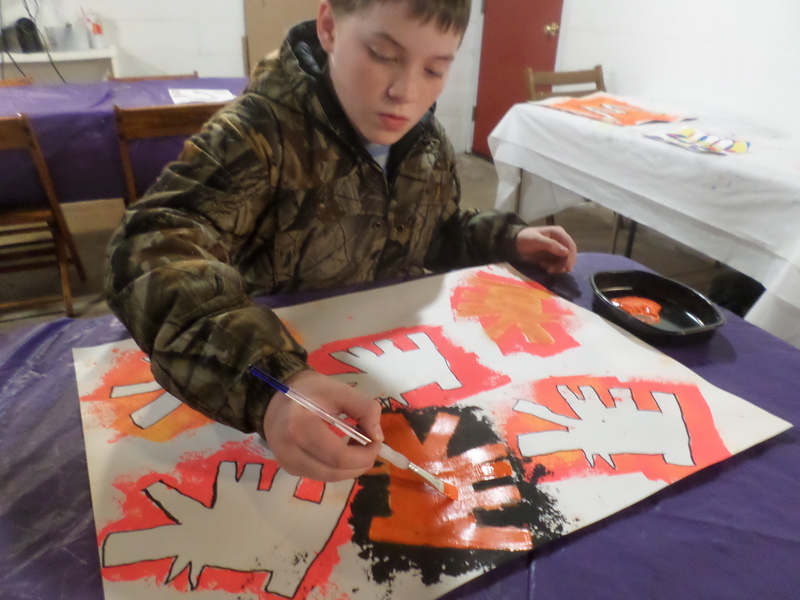 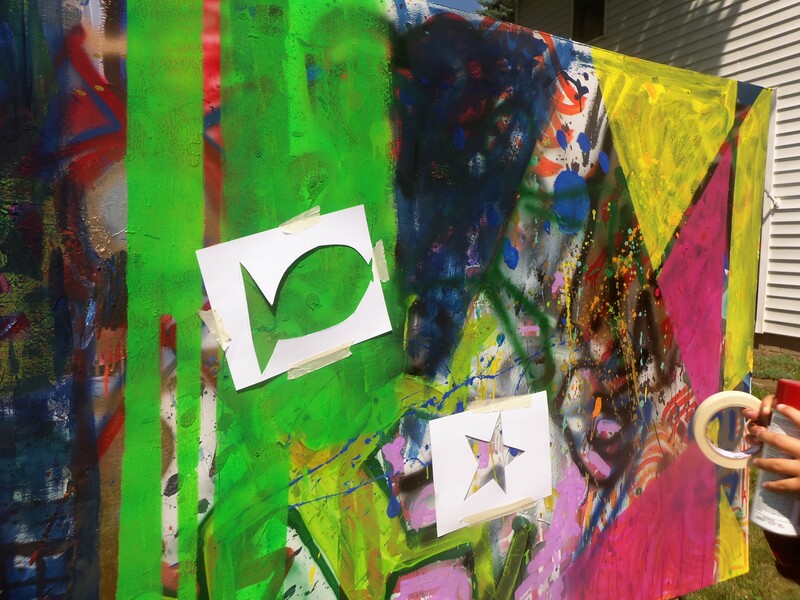 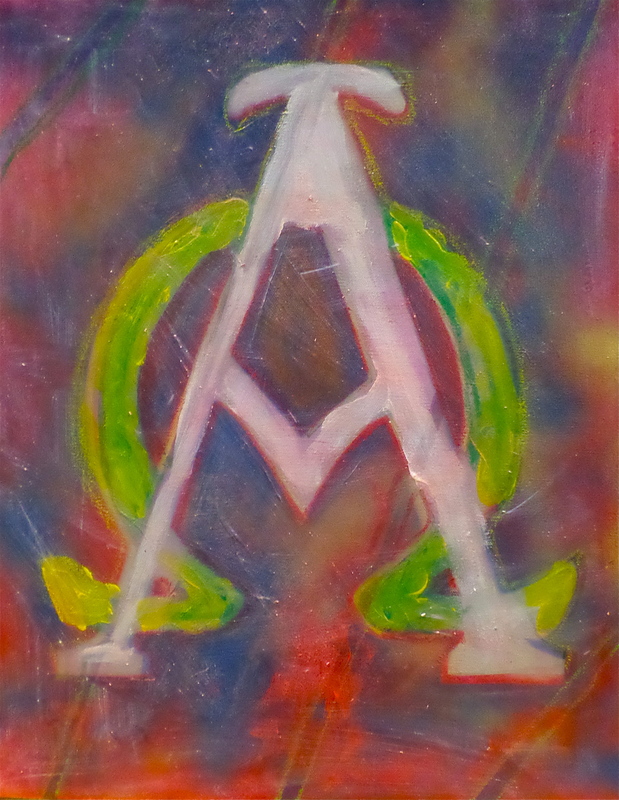 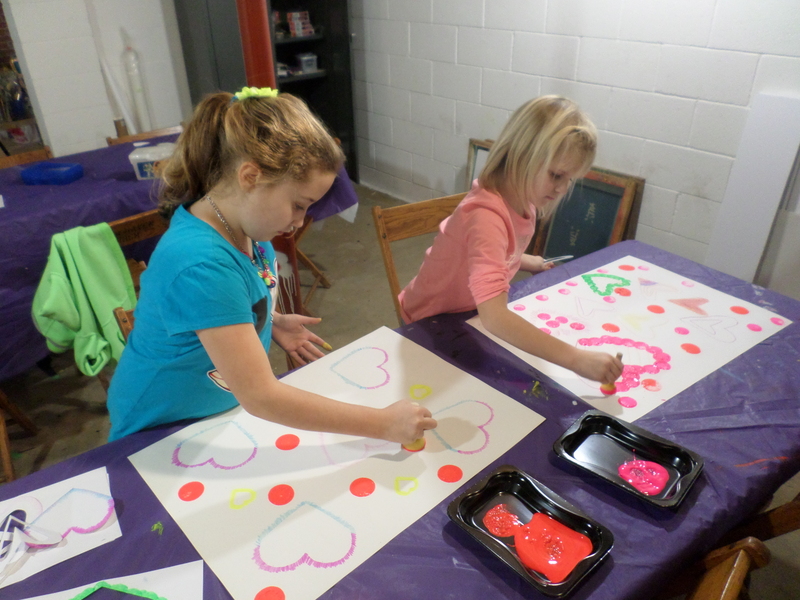 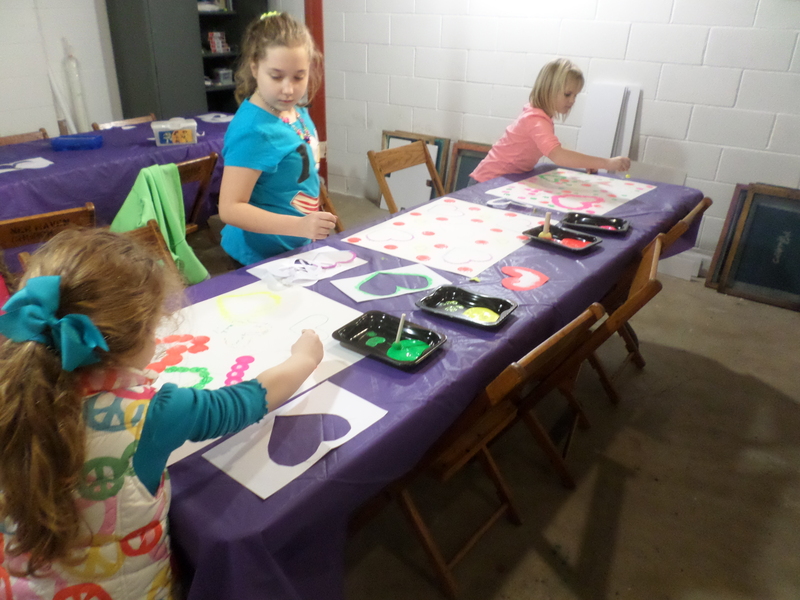 After adding some some solid color to their paintings, students returned to the studio to create stencil shapes to add to the images and also allow for some drying time. 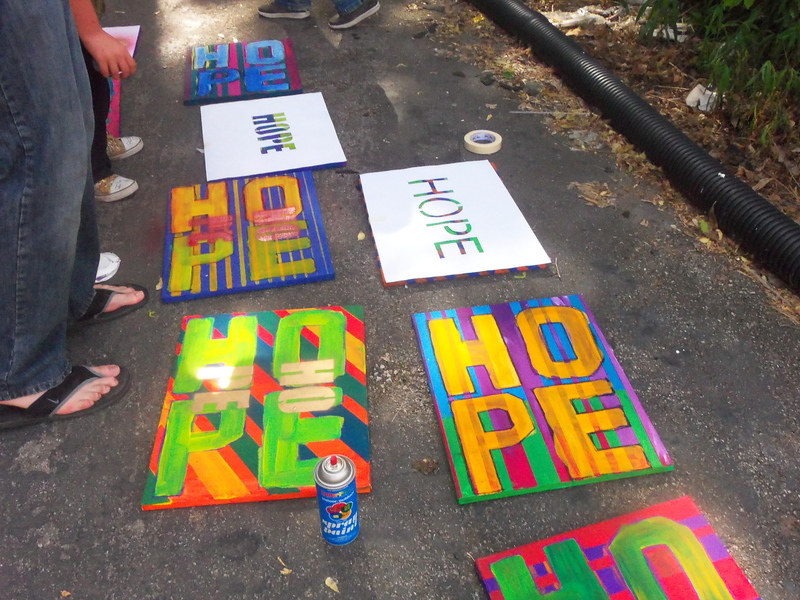 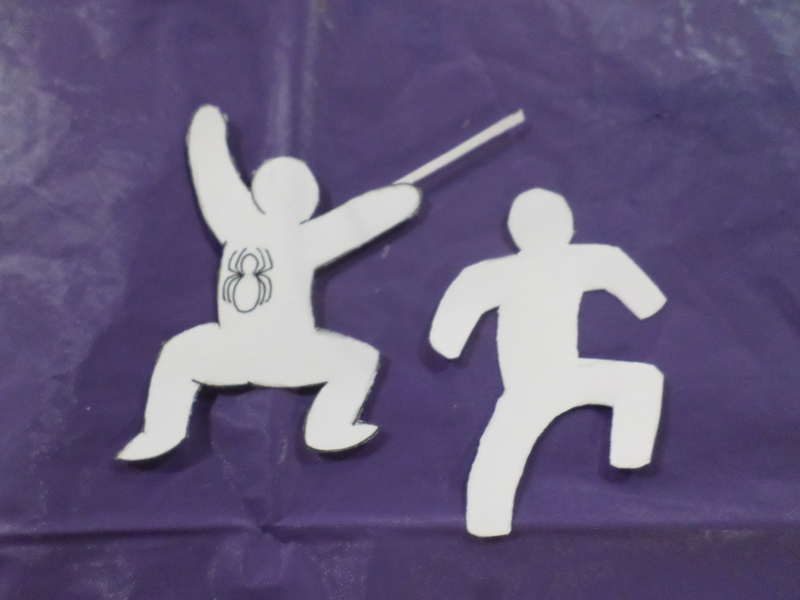 Stencils made by the campers. 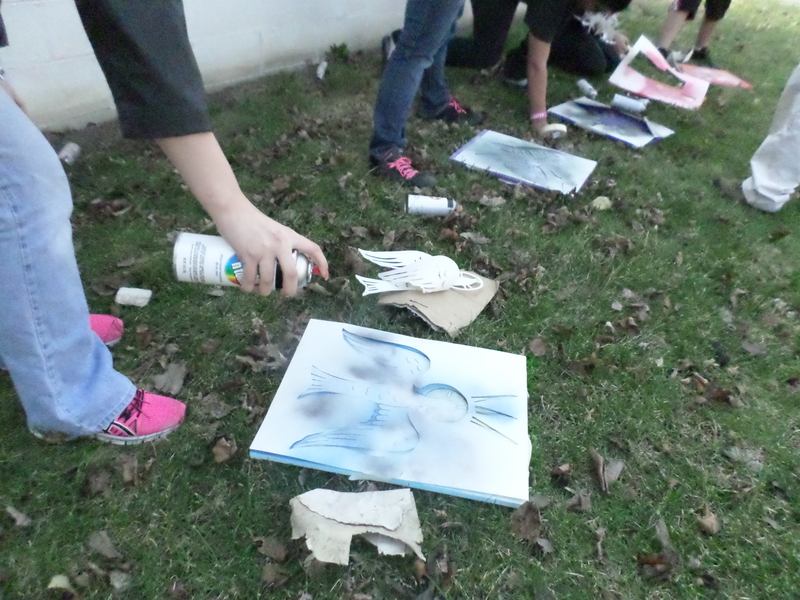 Everyone enjoyed using the spray paint to bring their stencil ideas to life. 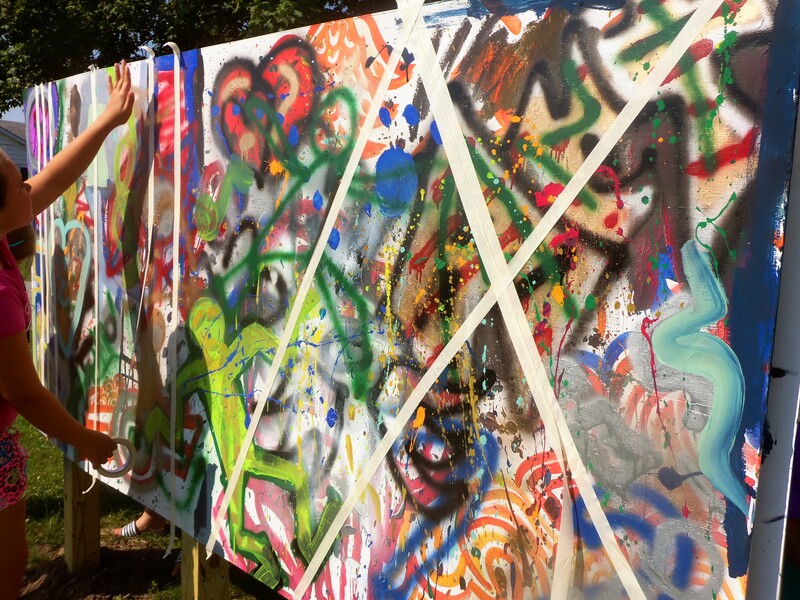 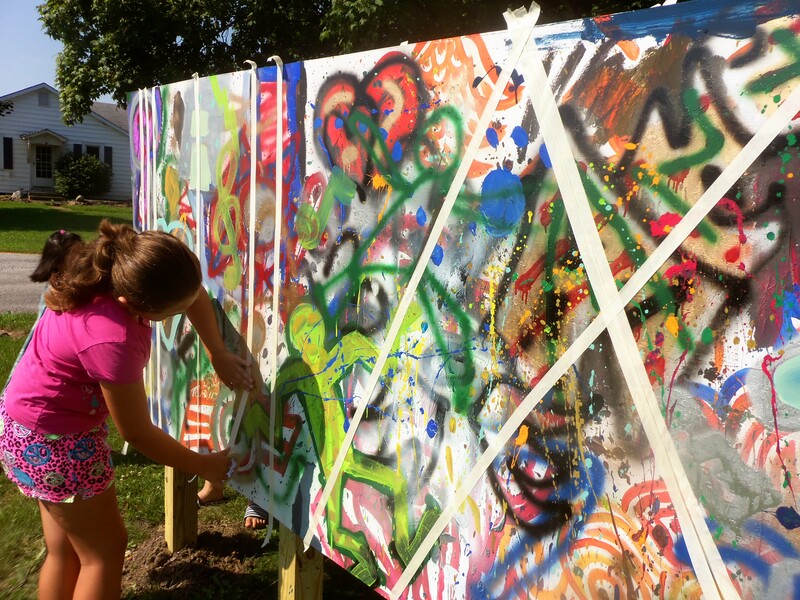 Campers really had a wonderful opportunity to explore the creative process through this painting project. 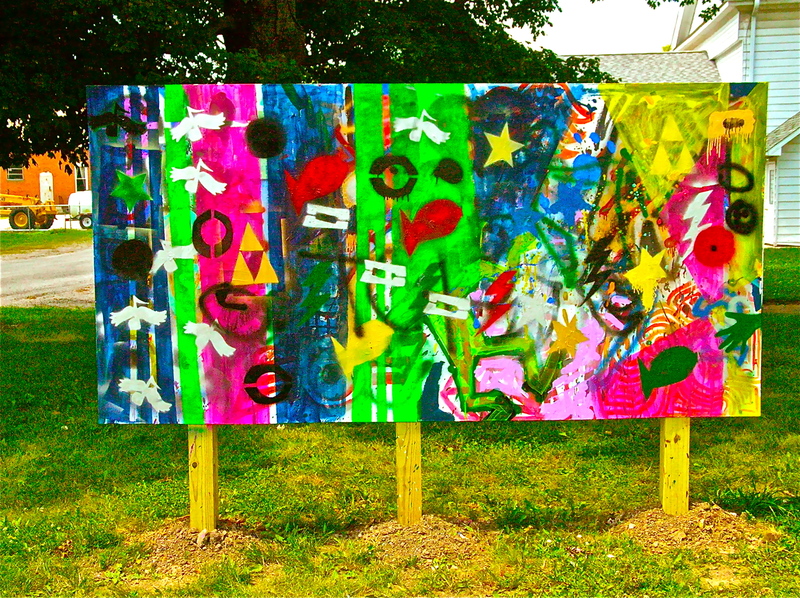 The completed images by this year’s Art Campers. 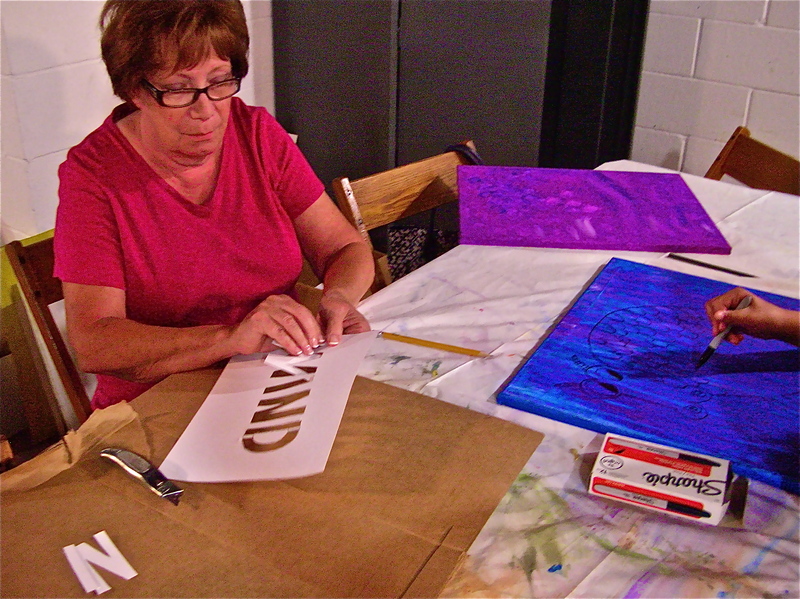 The third week of our painting class was very fun to watch and experience as the participants immersed themselves in the creative process. 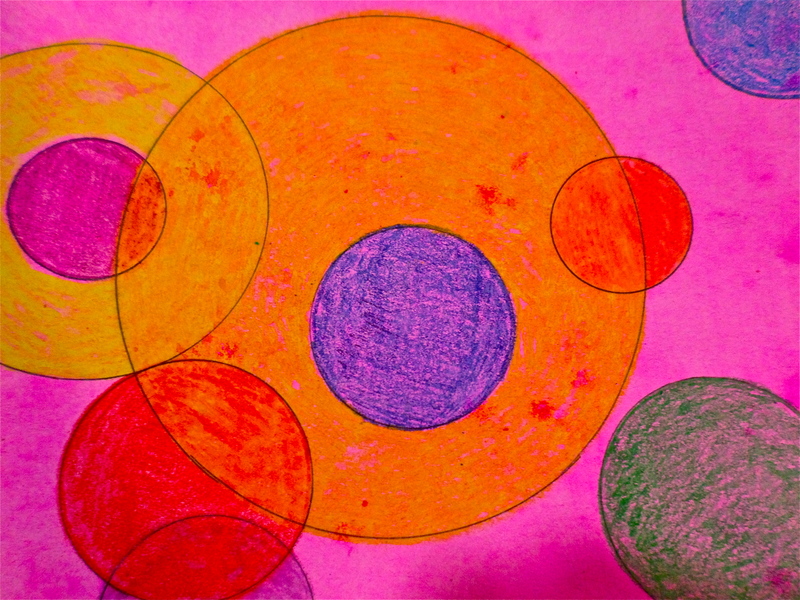 Many different techniques were tried, explored and developed this week. 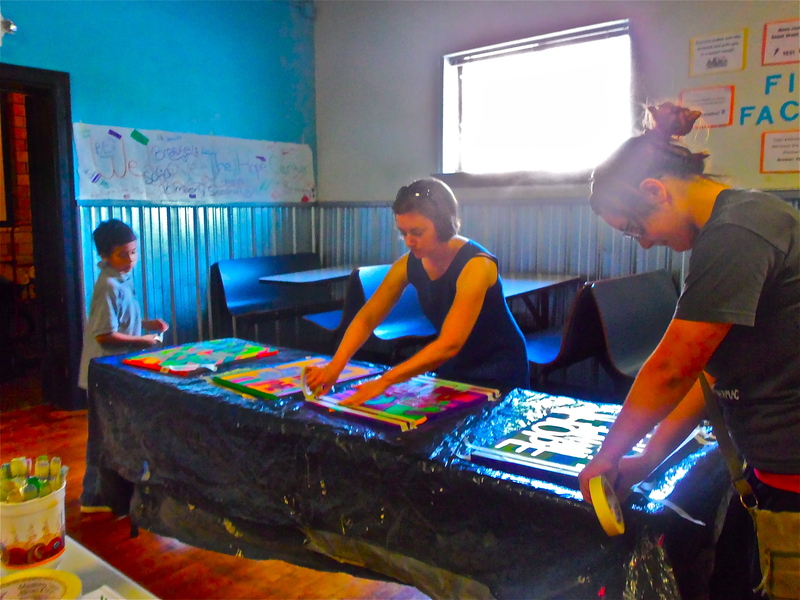 It was great to experience all of the creative energy as the participants went into action working on their paintings. 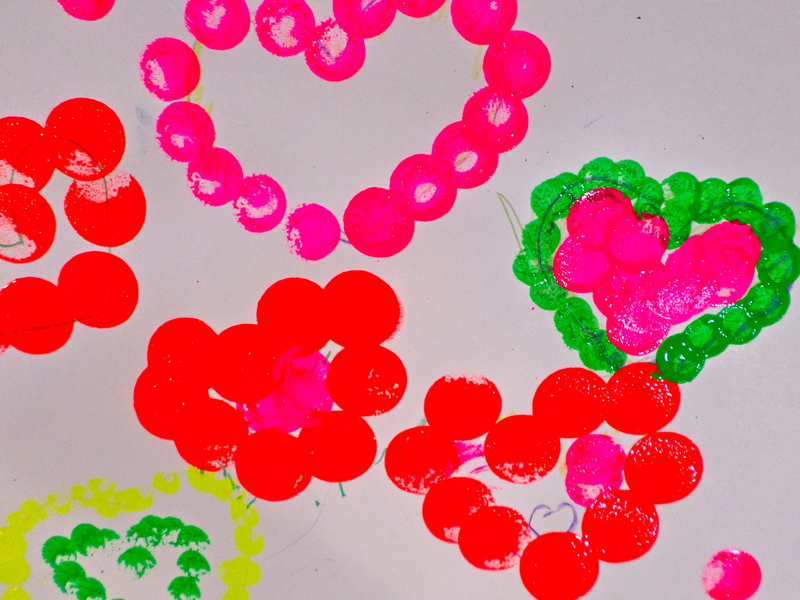 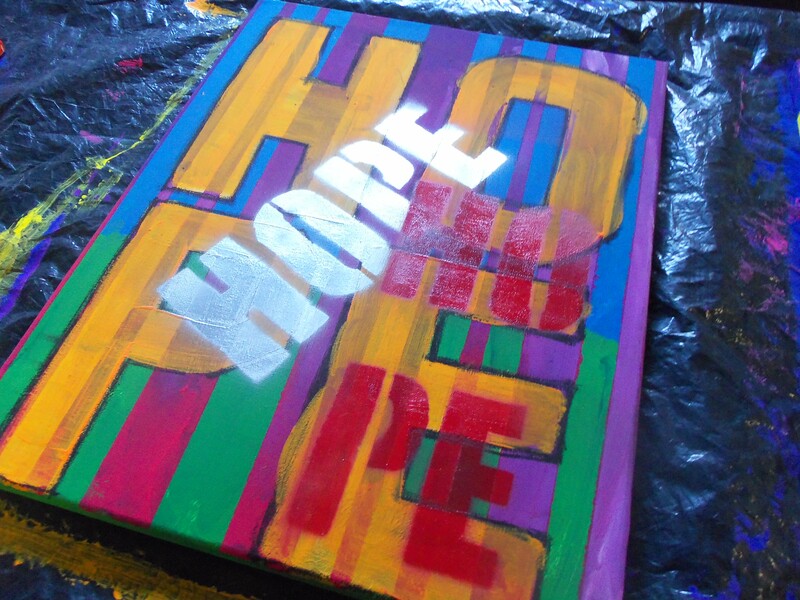 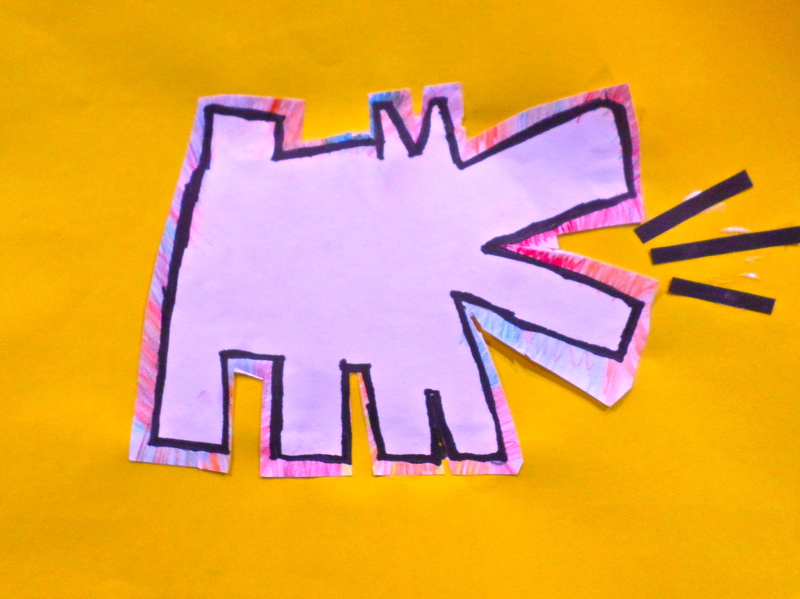 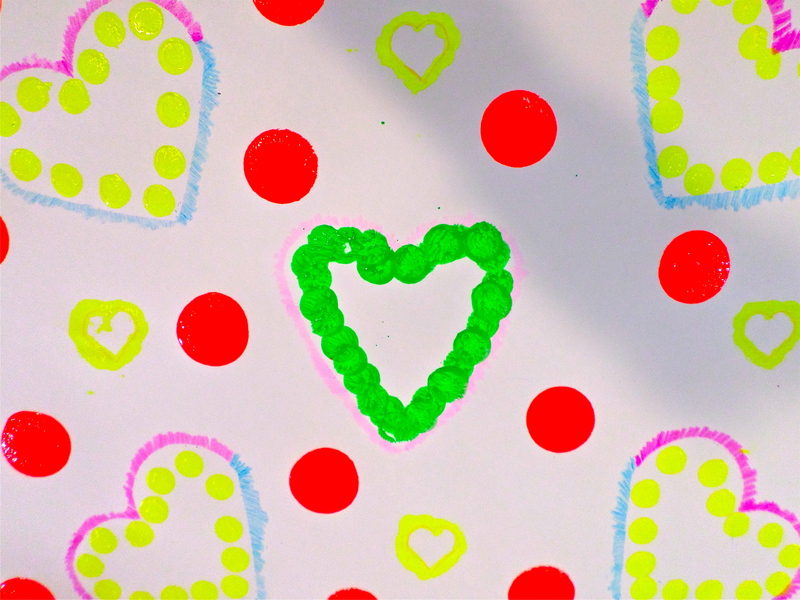 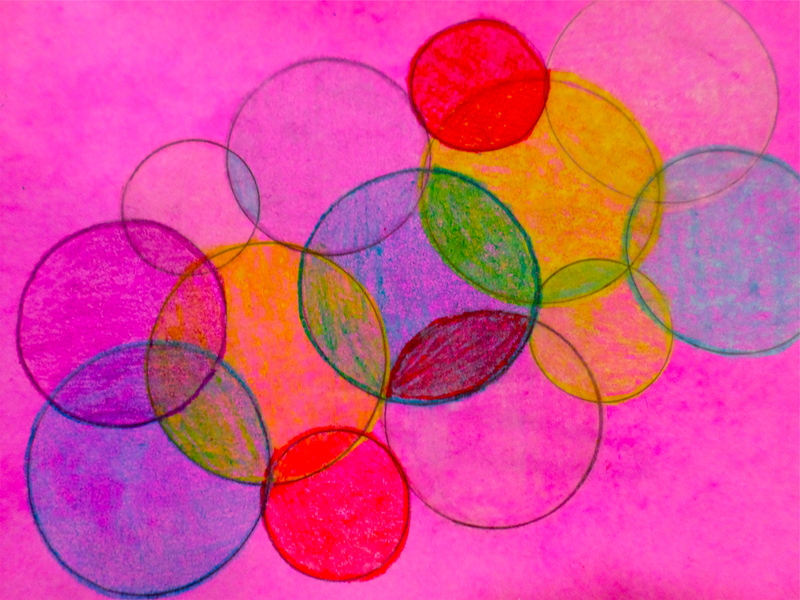 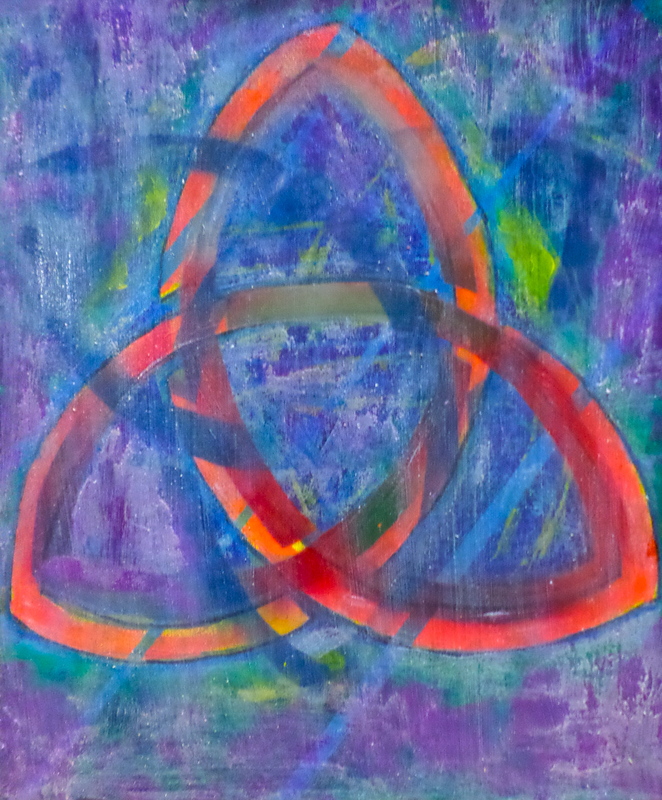 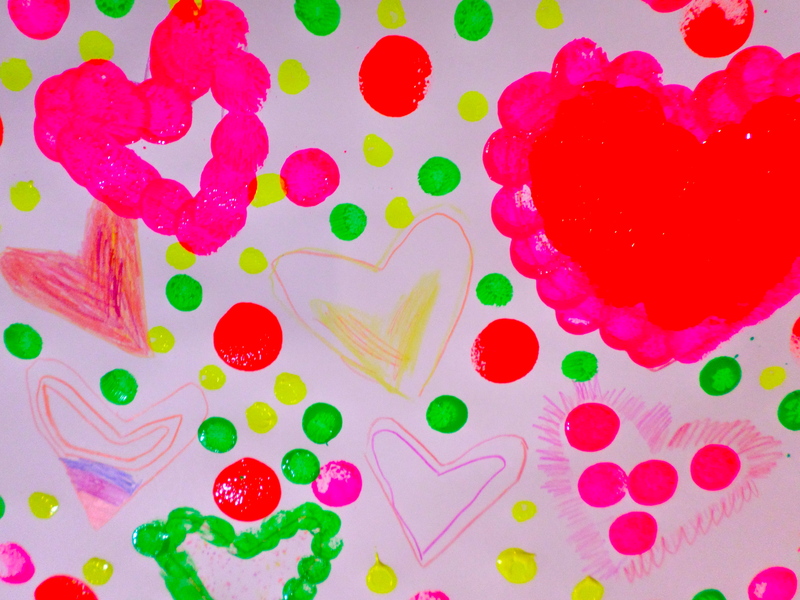 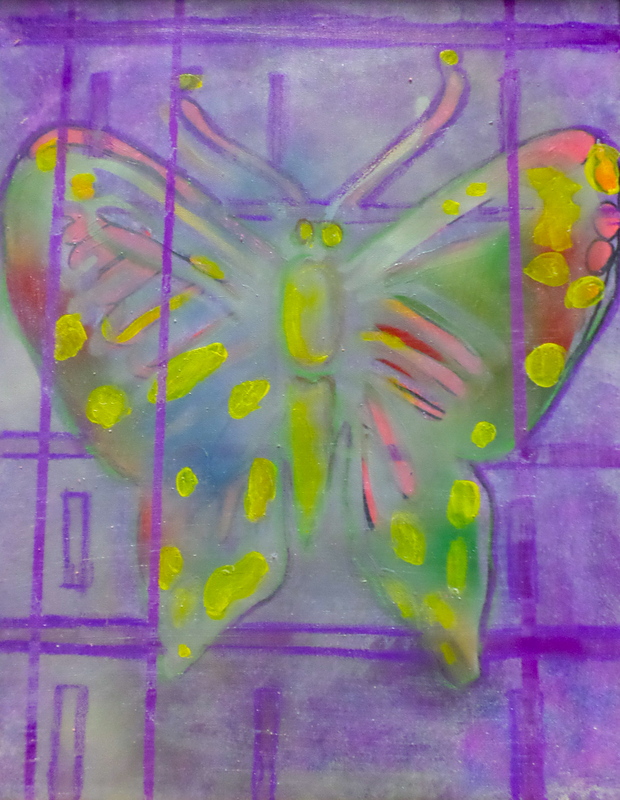 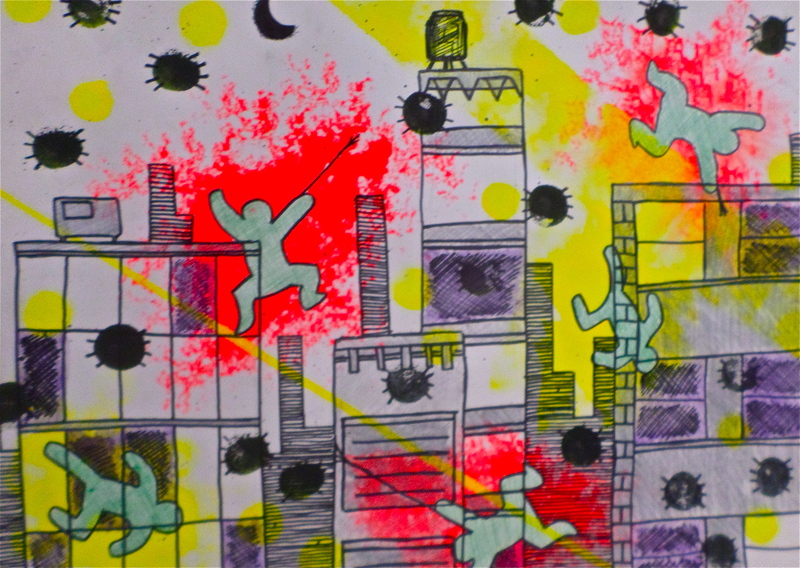 Students continued to add layers of color to their images of hope. 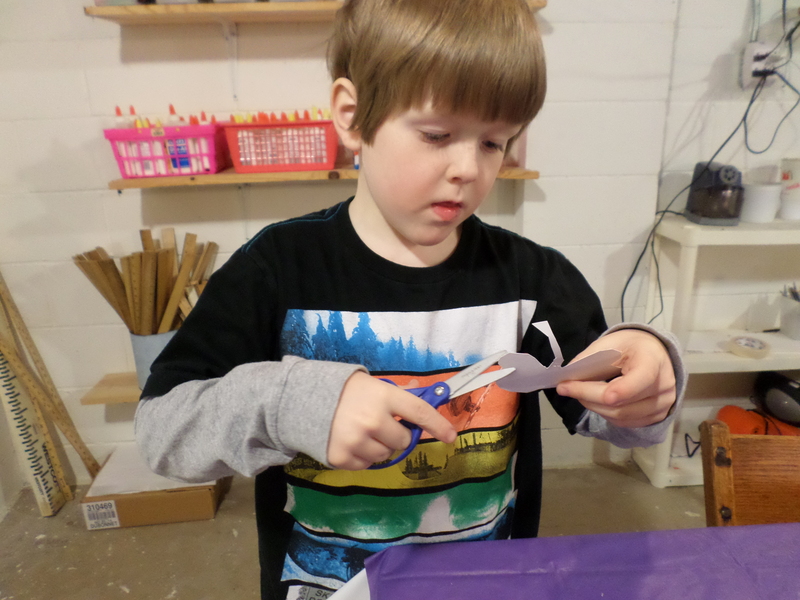 Learning to use masking tape to create various sizes and widths of lines was a new idea for the students. 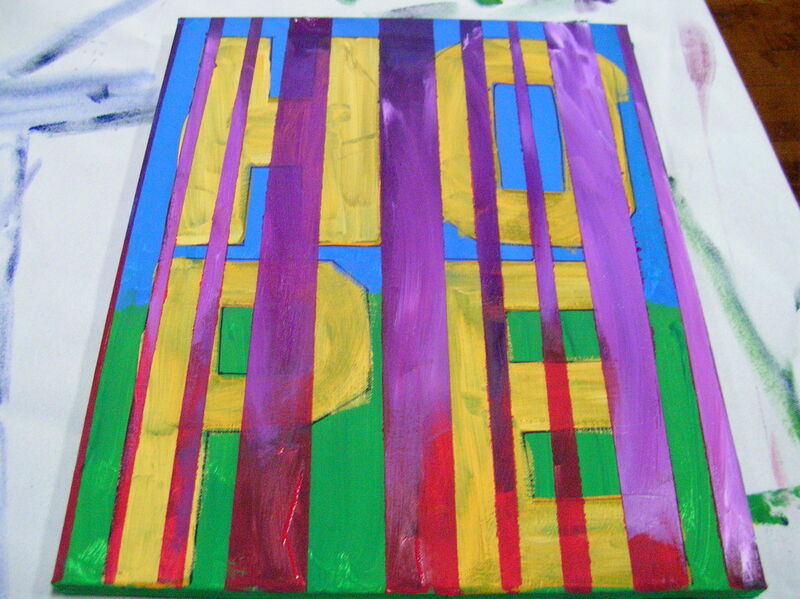 Choosing the right colors to add a new layer is a fun but challenging task. 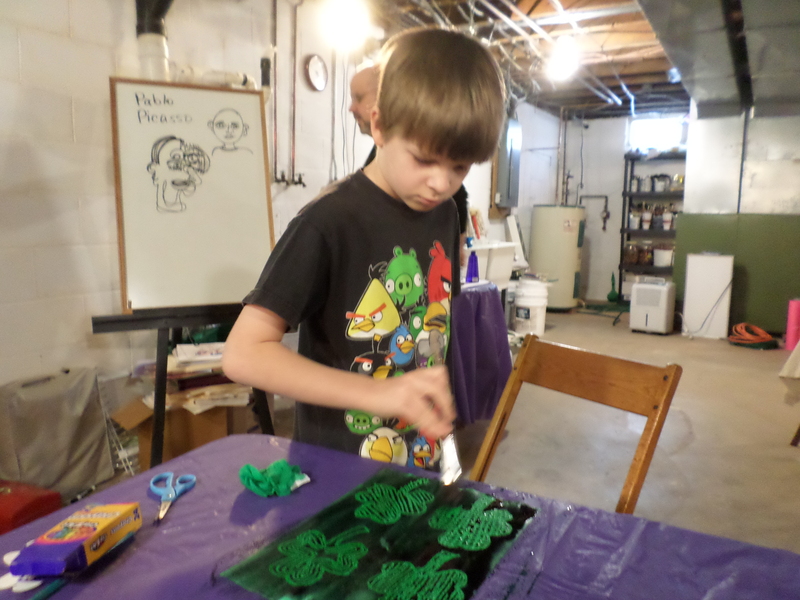 The results of the new layer were very exciting to the kids. 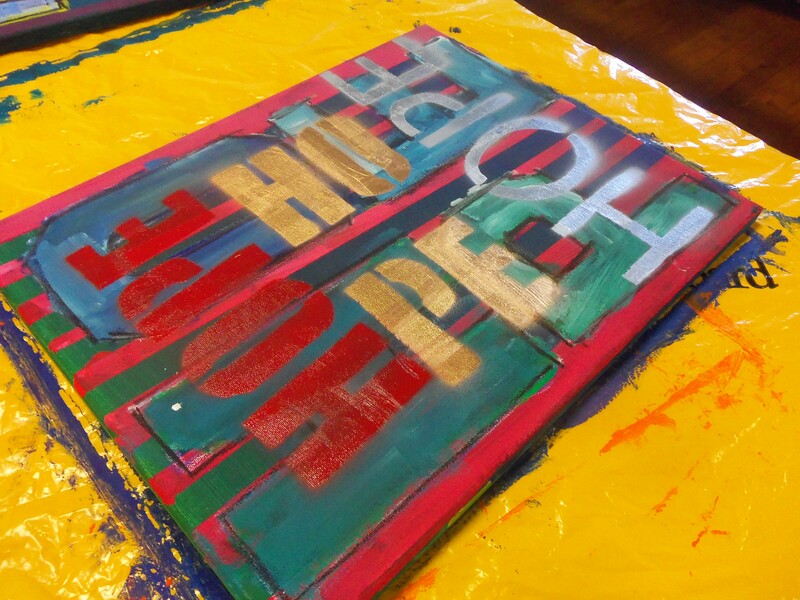 The next step was to add another layer of lettering using stencils and spray paint. 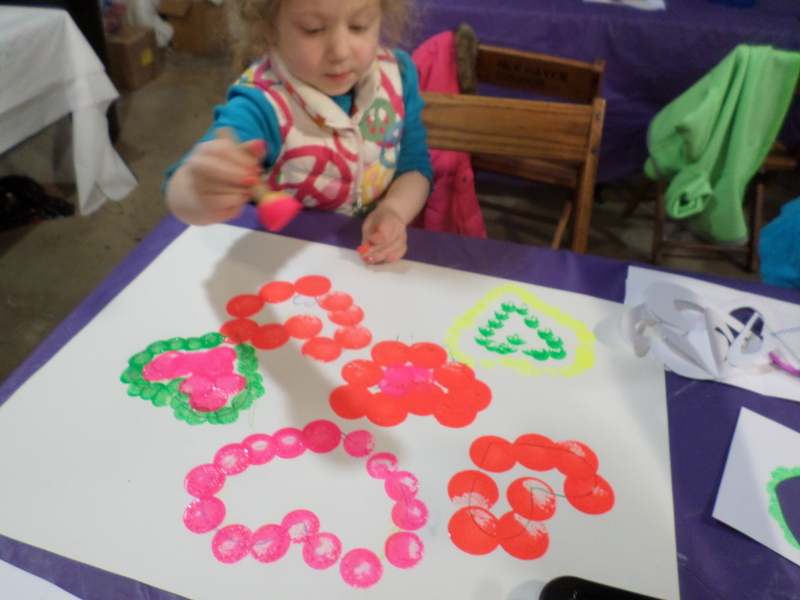 Everyone was excited to learn this process. 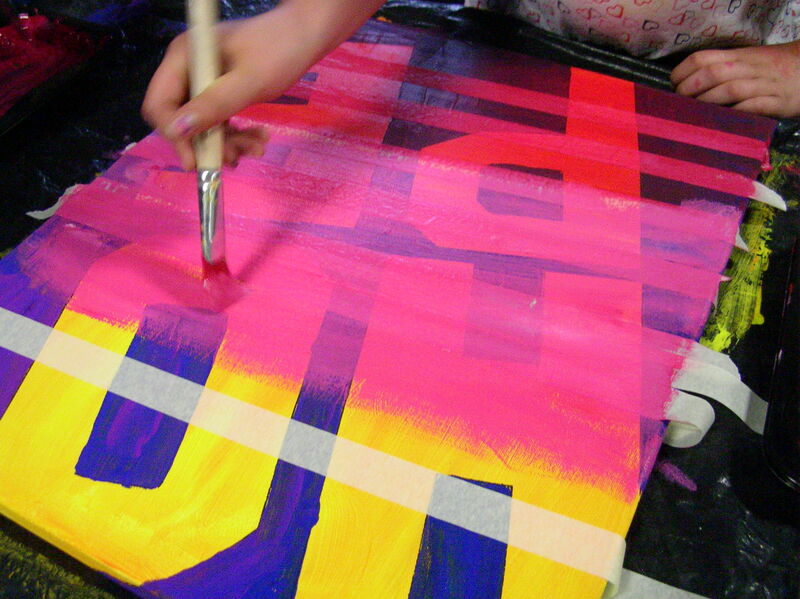 Multiple layers of lettering and color were added to the images. 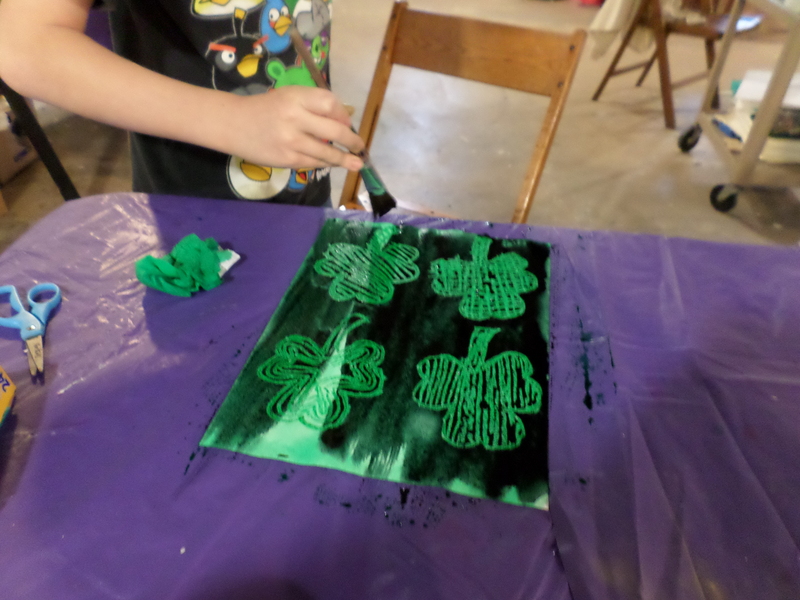 With immediate results the kids were thrilled with this process. 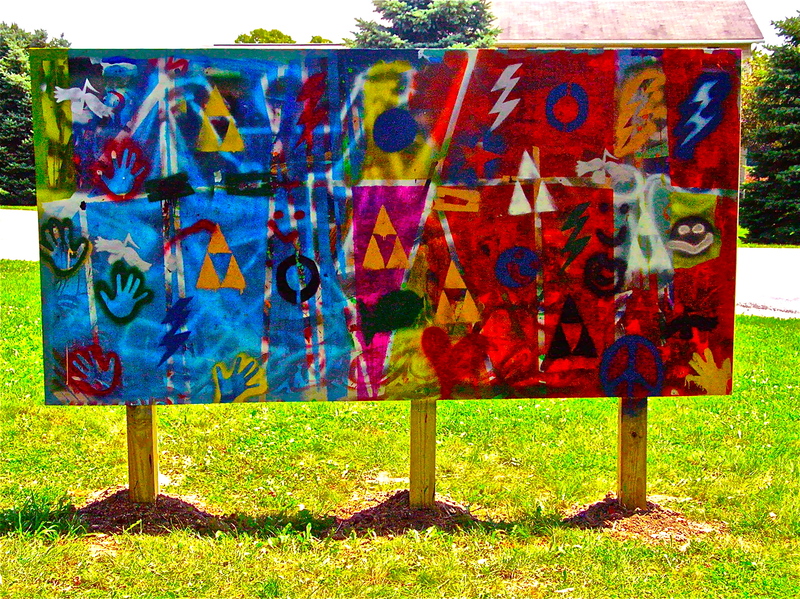 Finally one more layer of color was strategically added to the images. 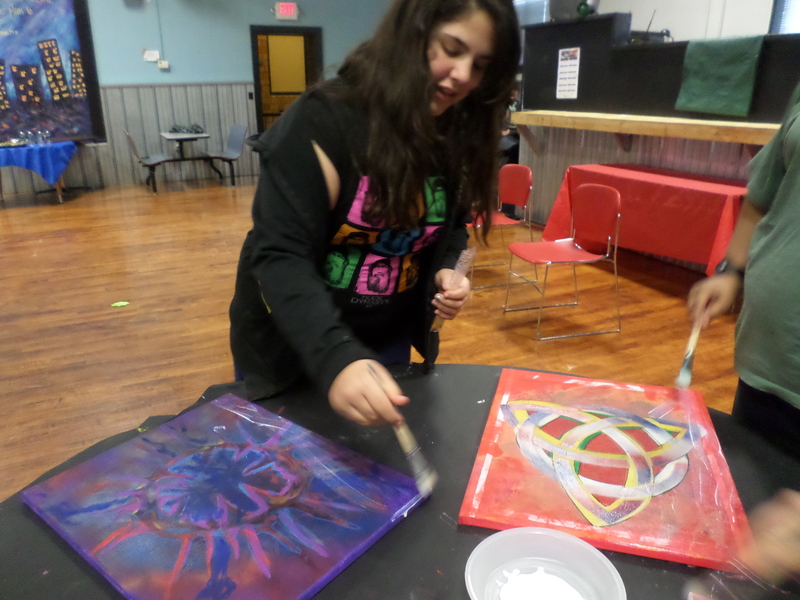 This was a great end to a very fun session of painting for the kids at the Willard Hope Center.